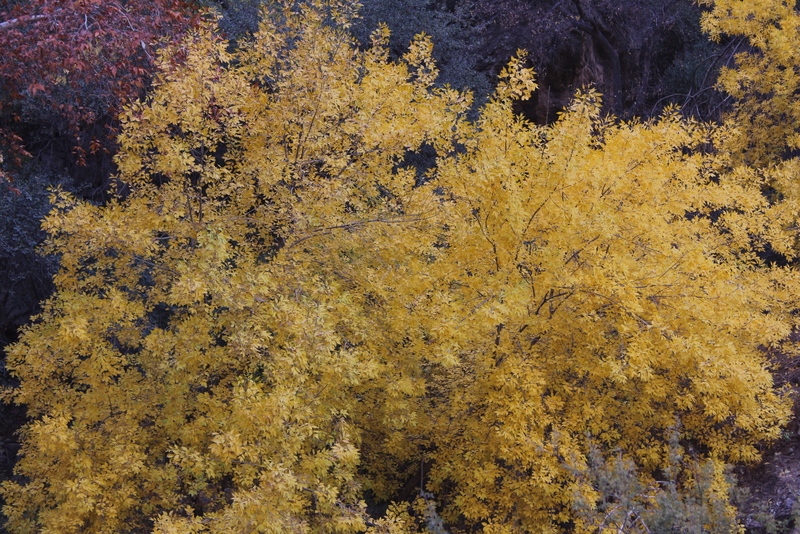 ﻿ Canyon | We're not taking a year off…we're taking on a year. 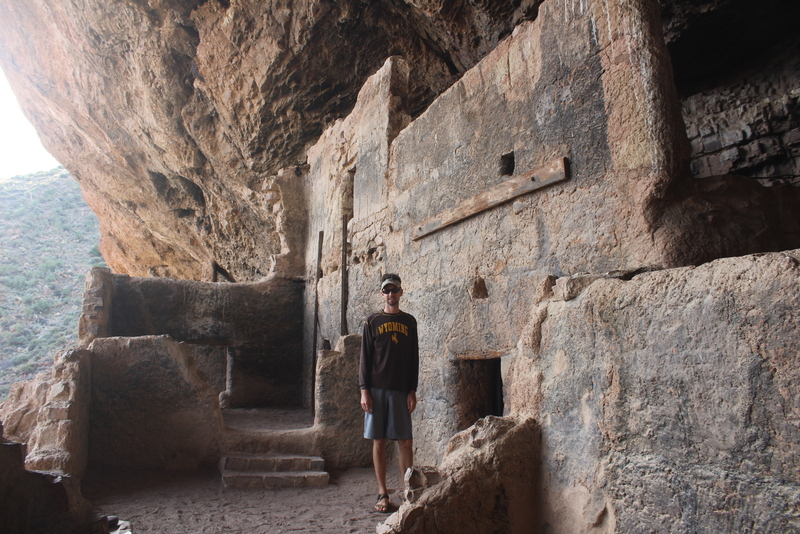 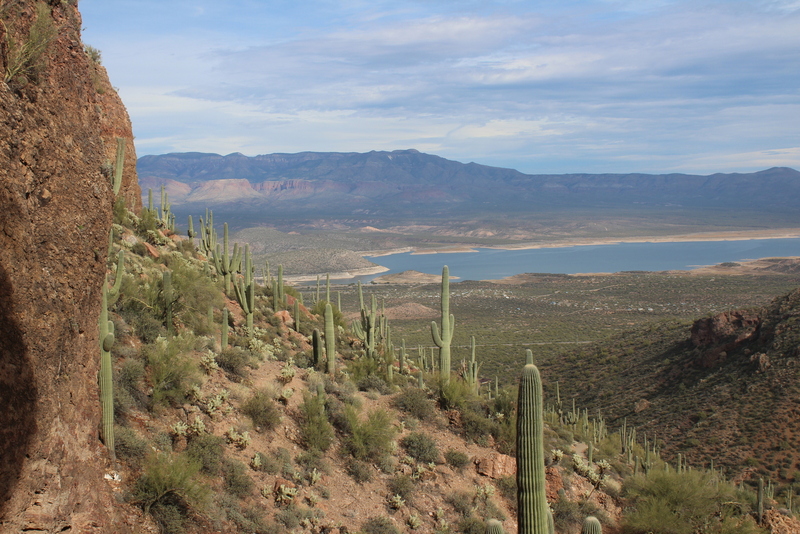 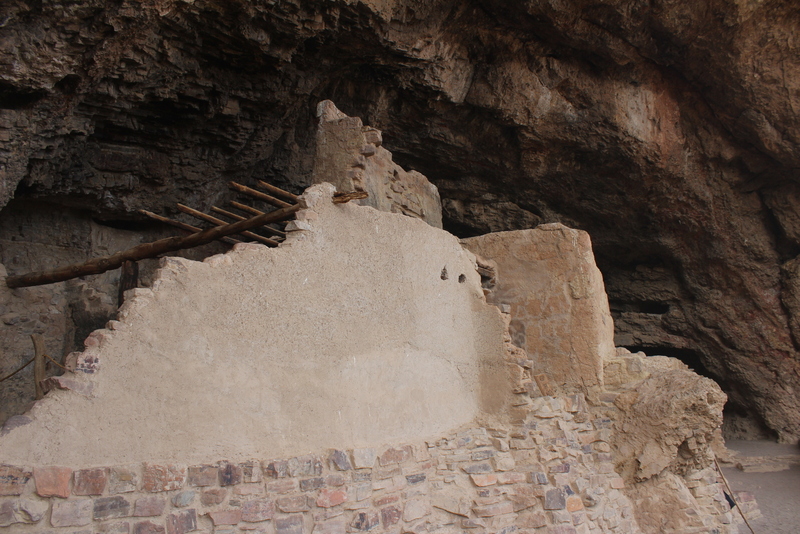 Description: Not far east of Phoenix is this beautiful cliff dwelling ruin, which makes for a great half day trip and scenic drive past Roosevelt, Apache, and Canyon Lakes. 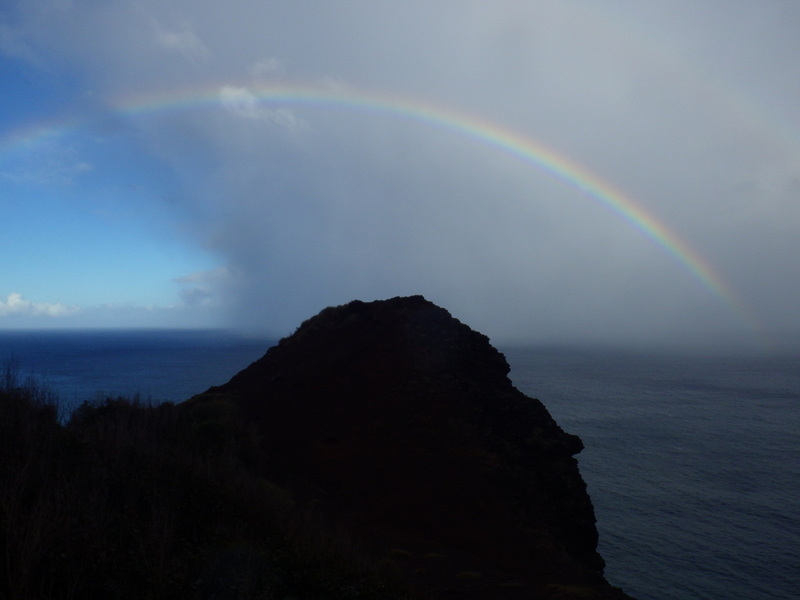 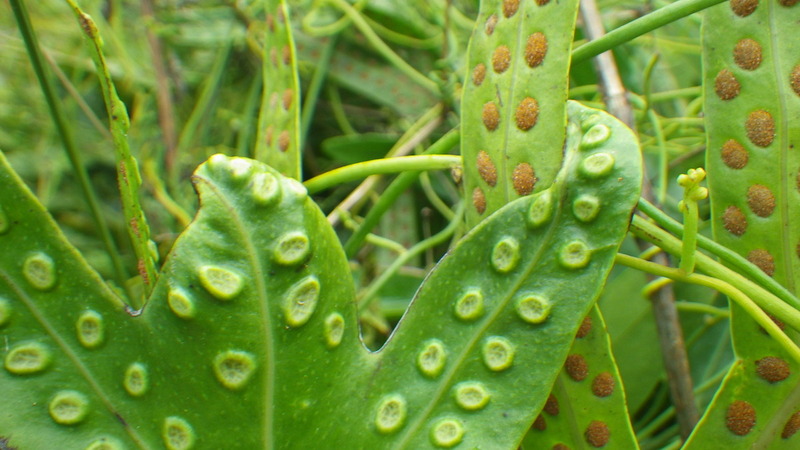 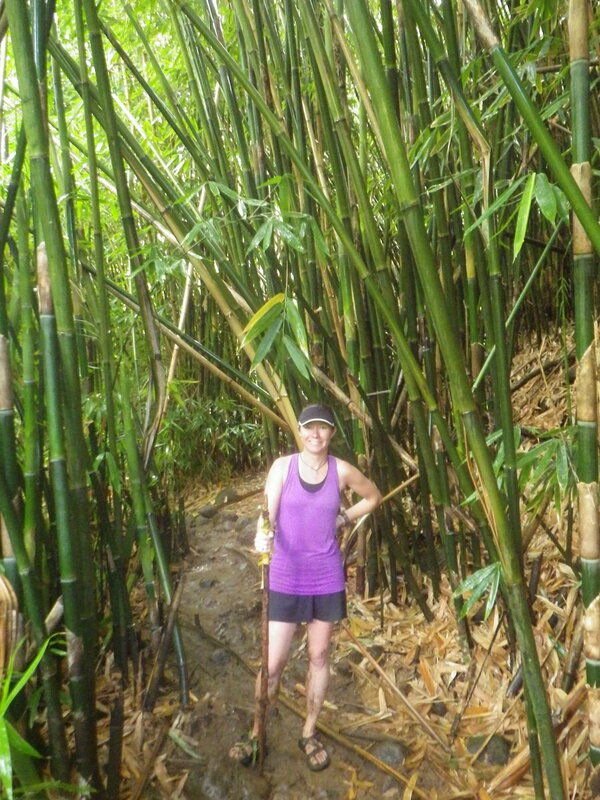 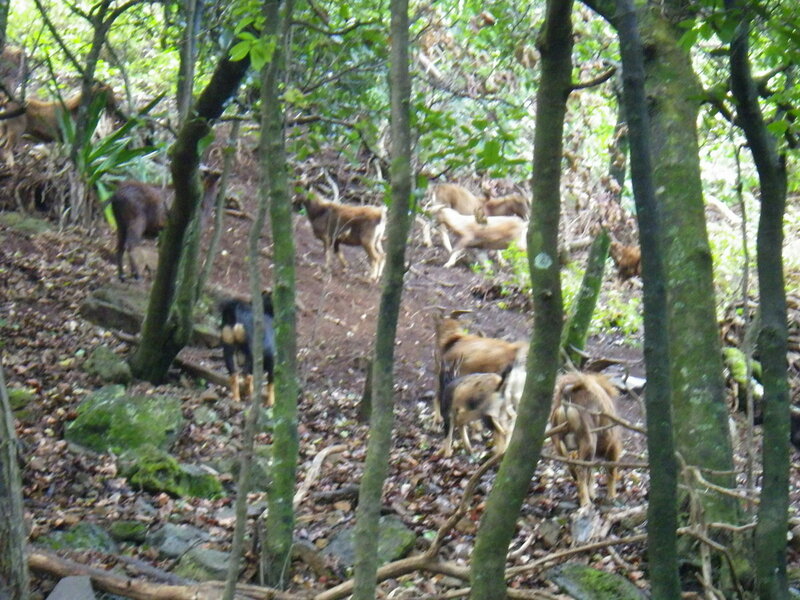 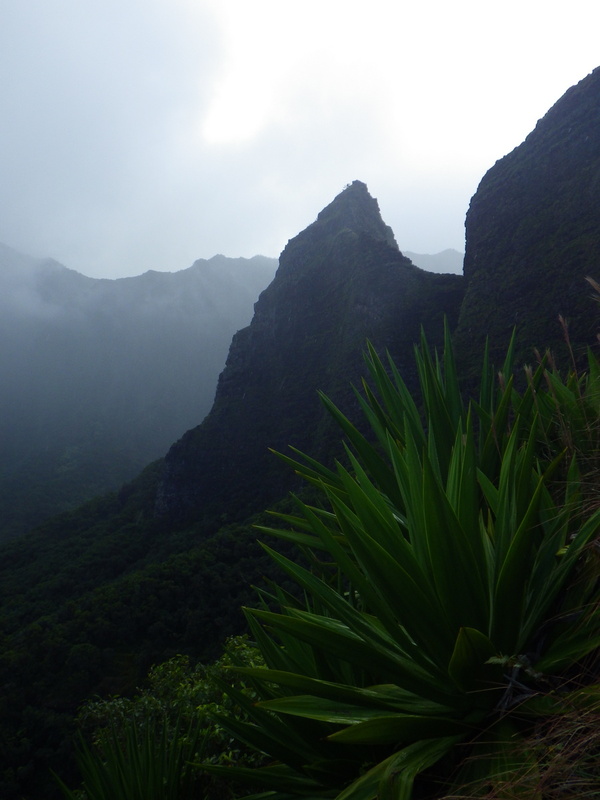 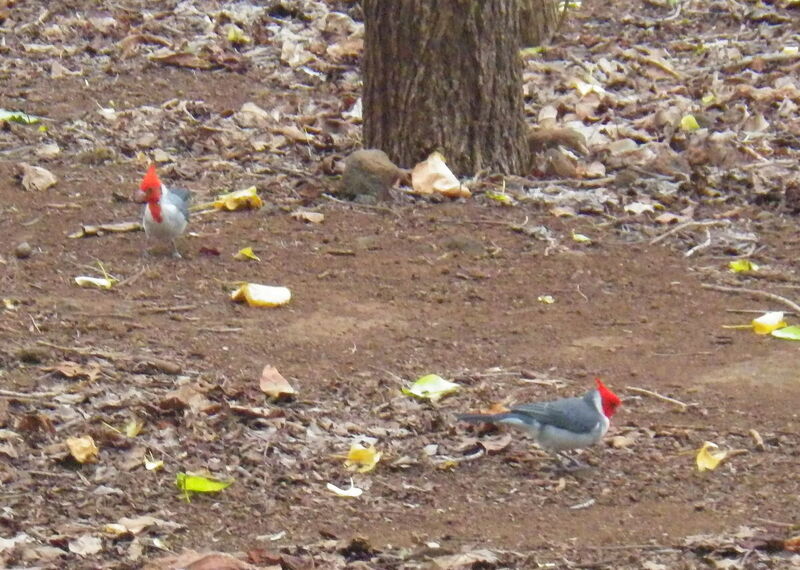 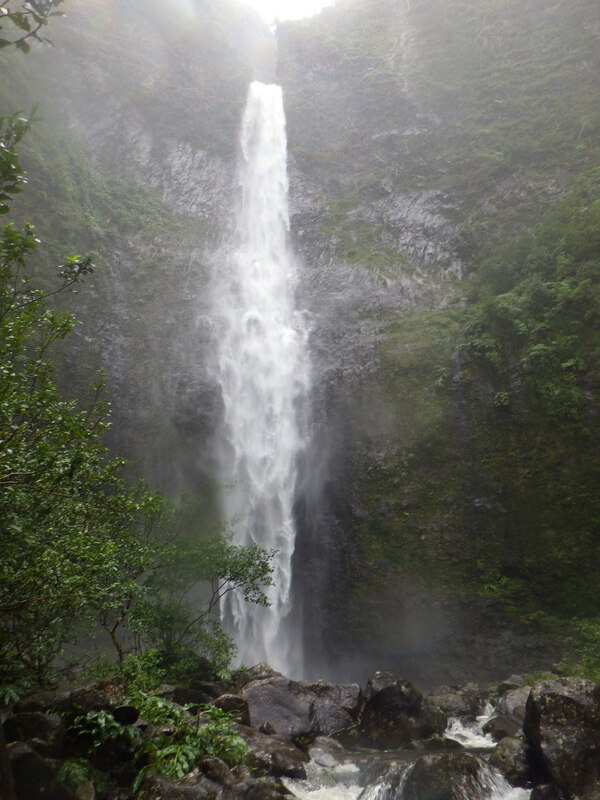 Description: This trail follows the treacherous Kalalau Trail for the first 2 miles then heads up the soggy valley an additional 2 strenuous miles to reach the impressive falls. 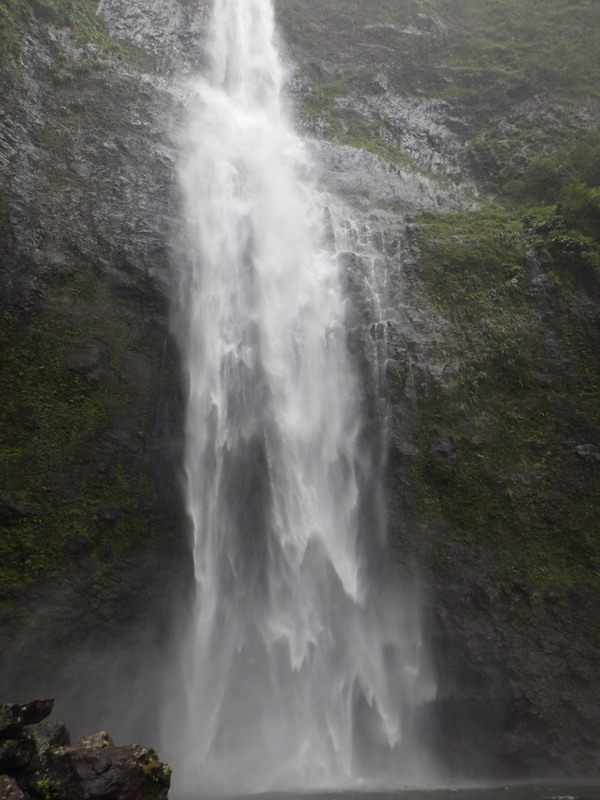 It is incredibly difficult to photograph due to the spray at its base, so be sure your equipment is waterproof. 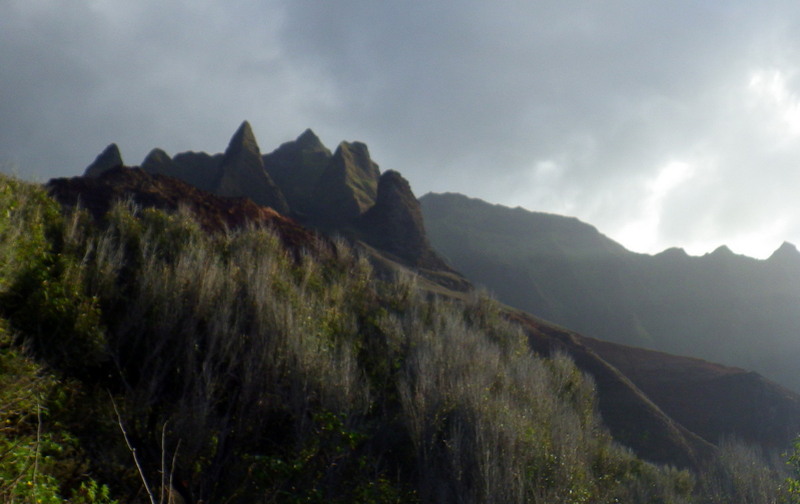 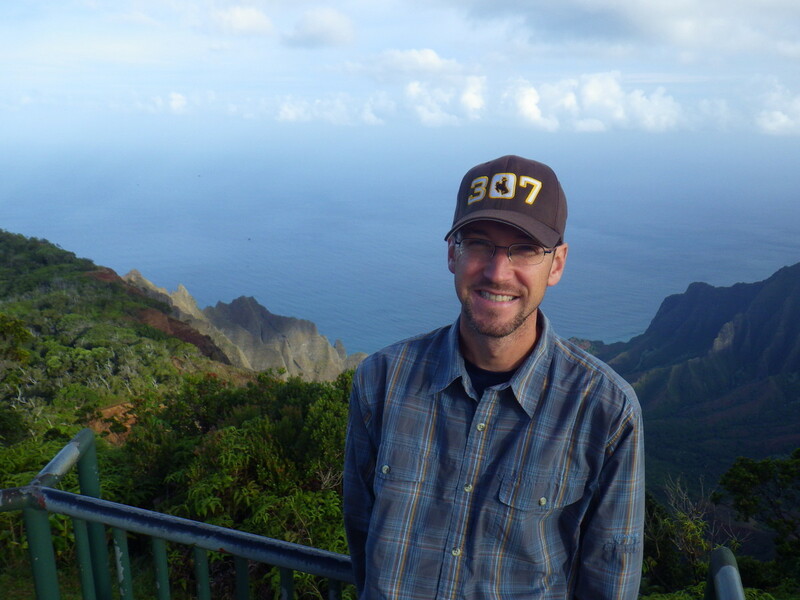 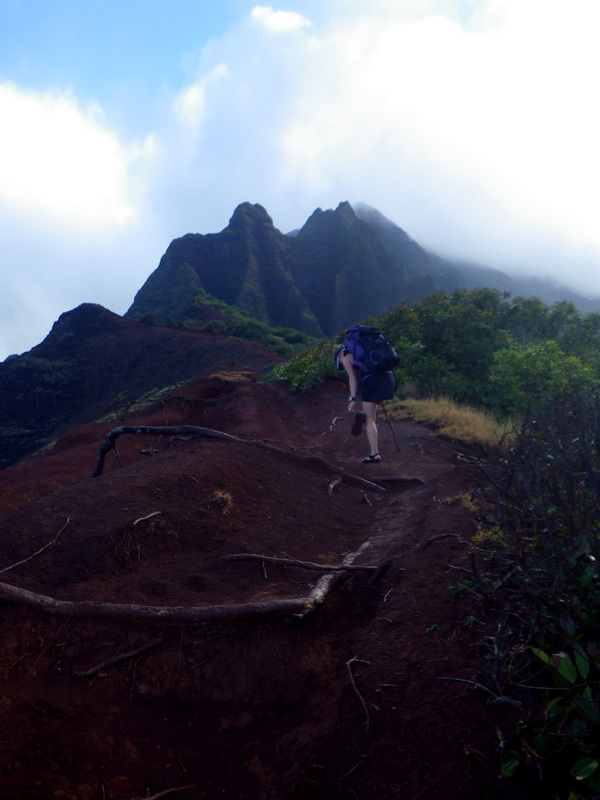 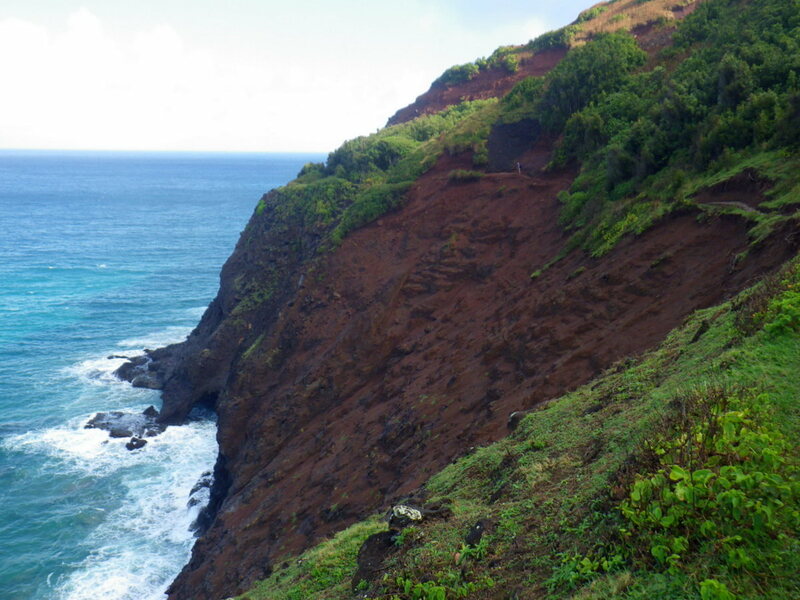 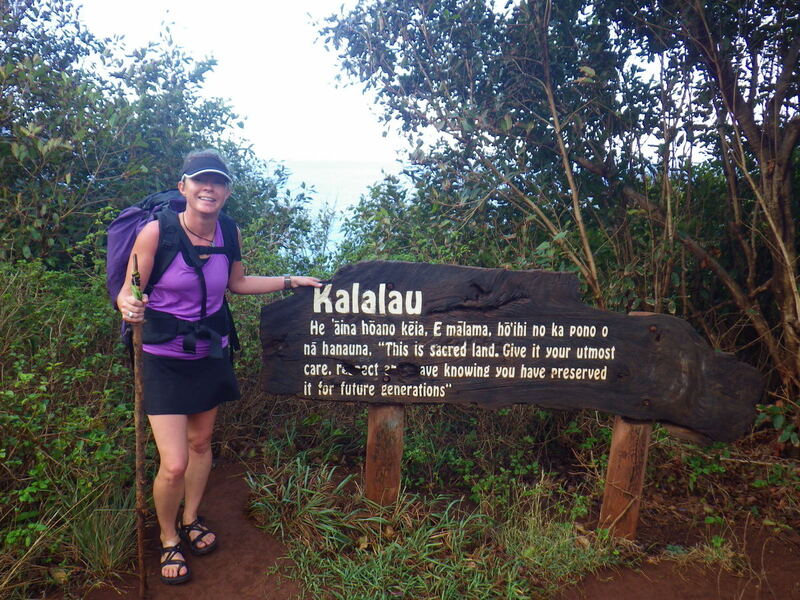 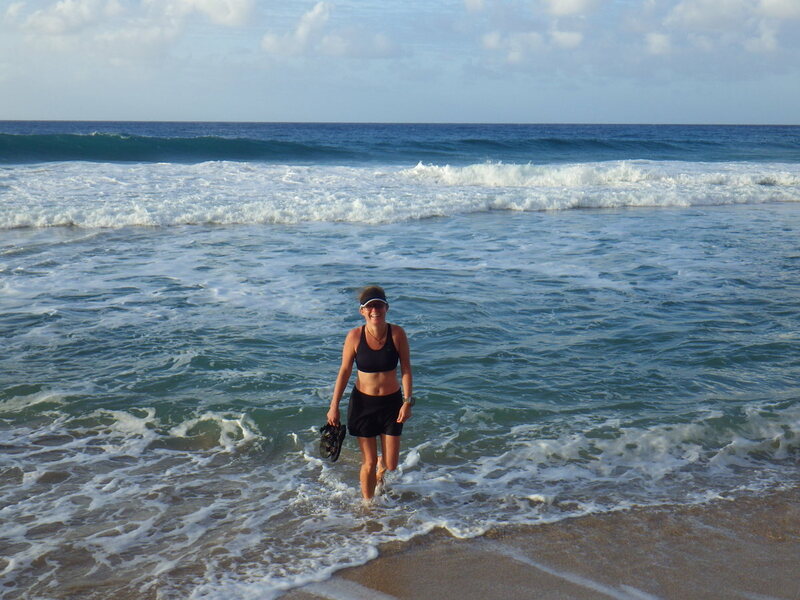 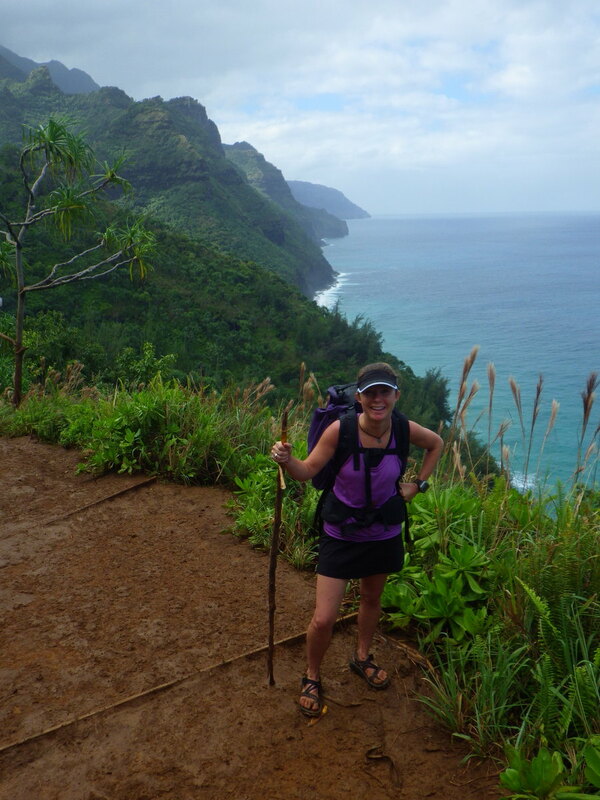 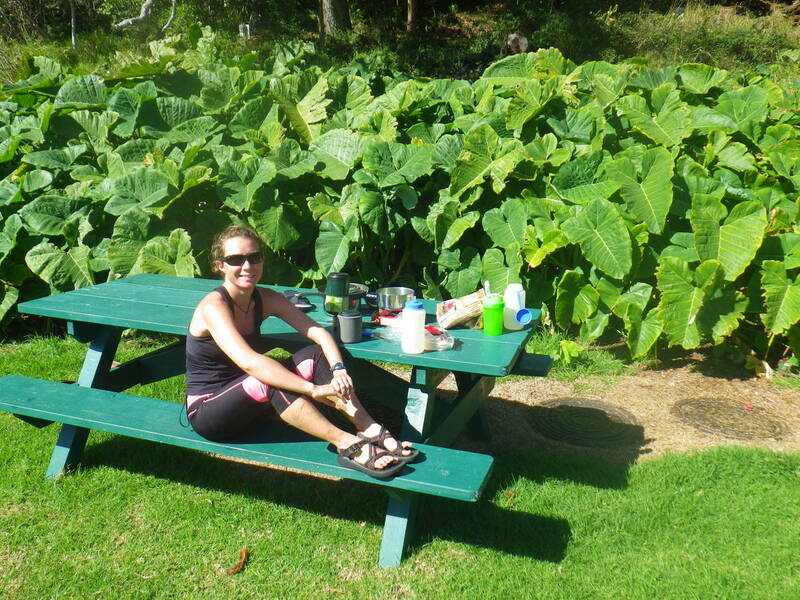 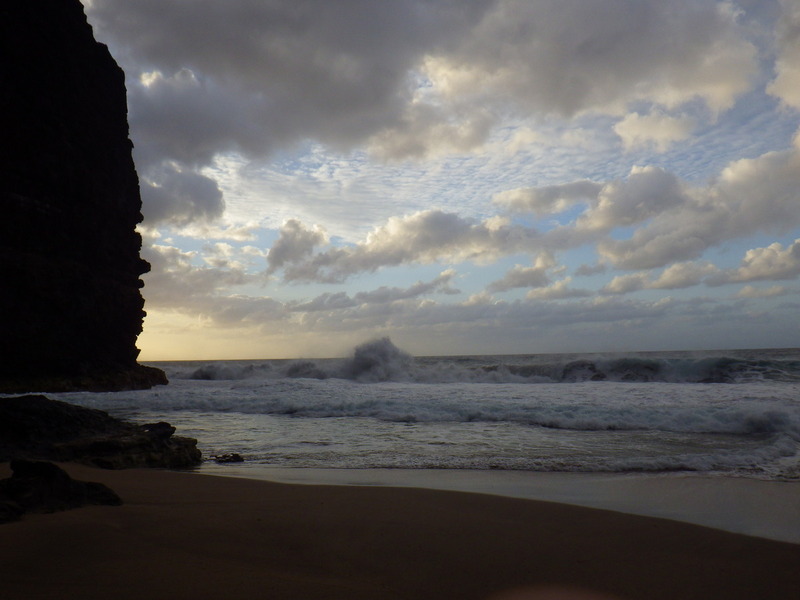 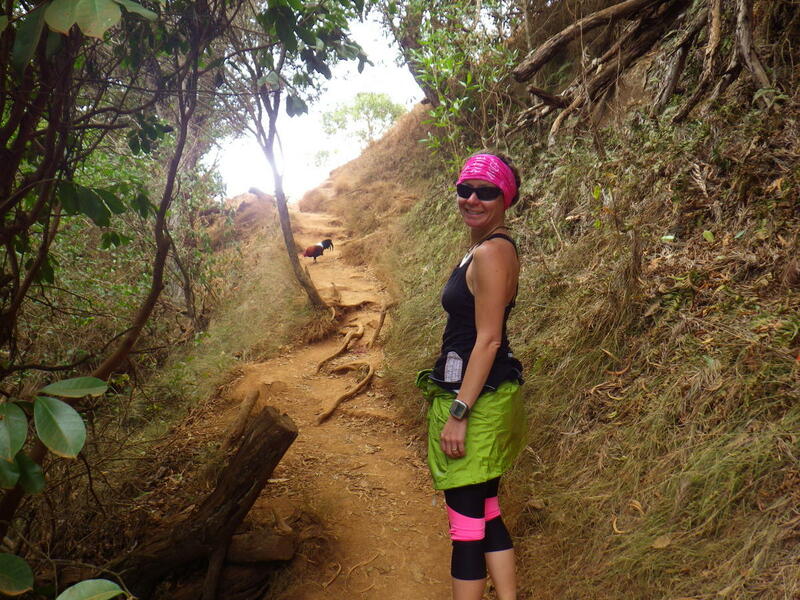 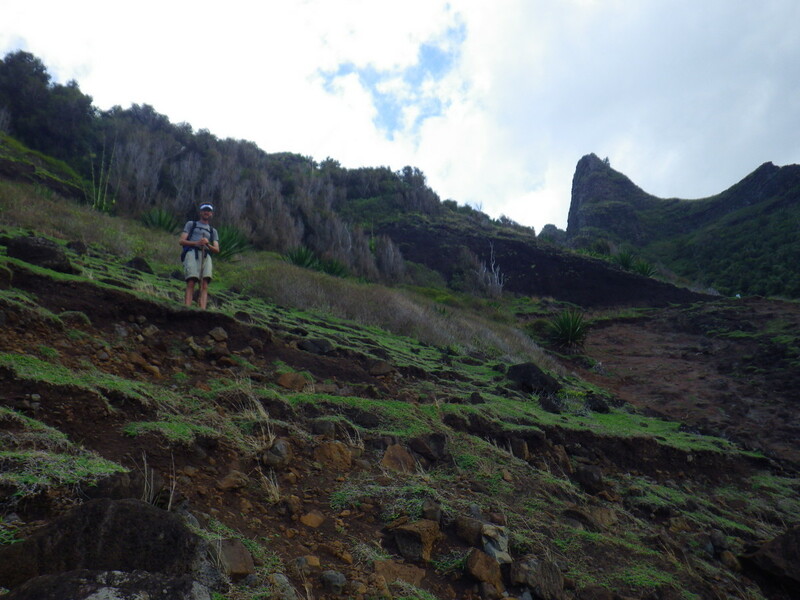 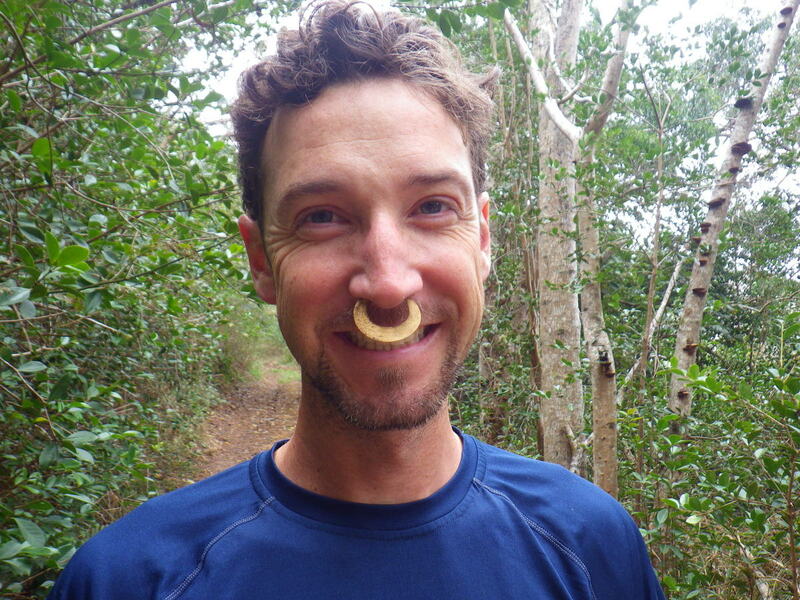 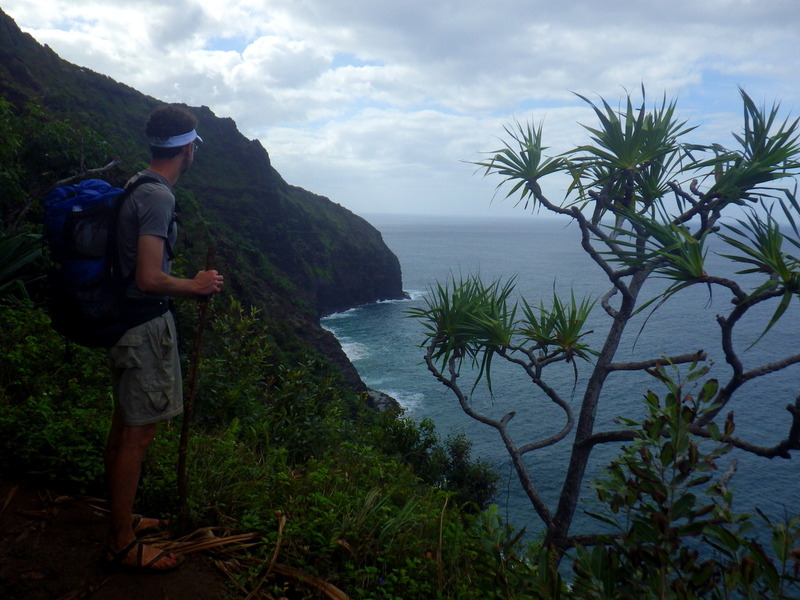 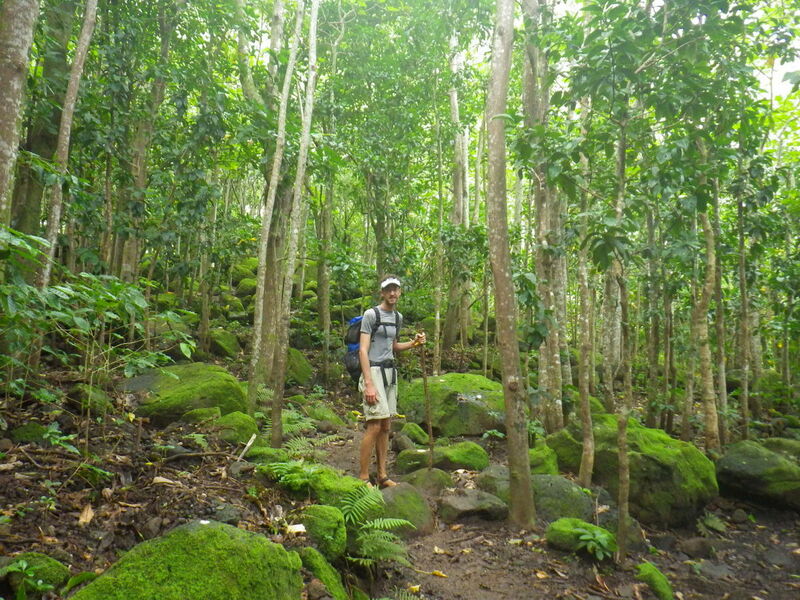 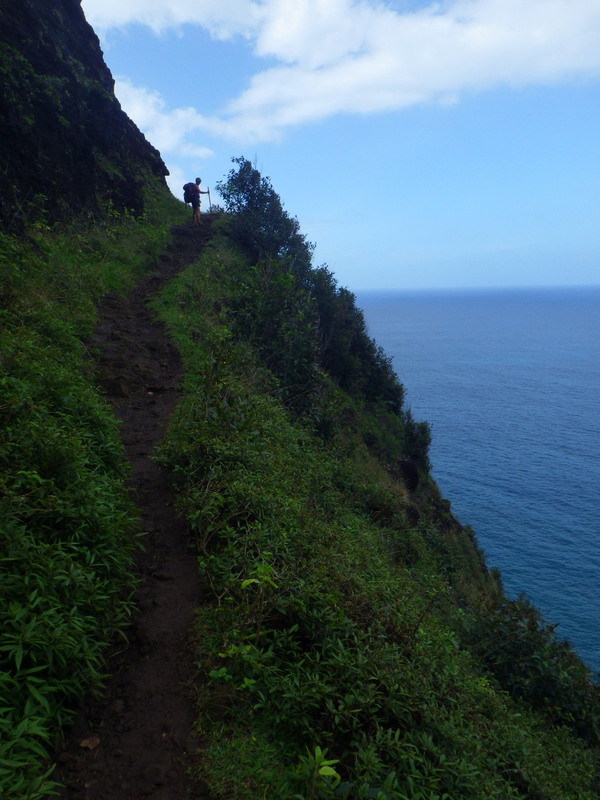 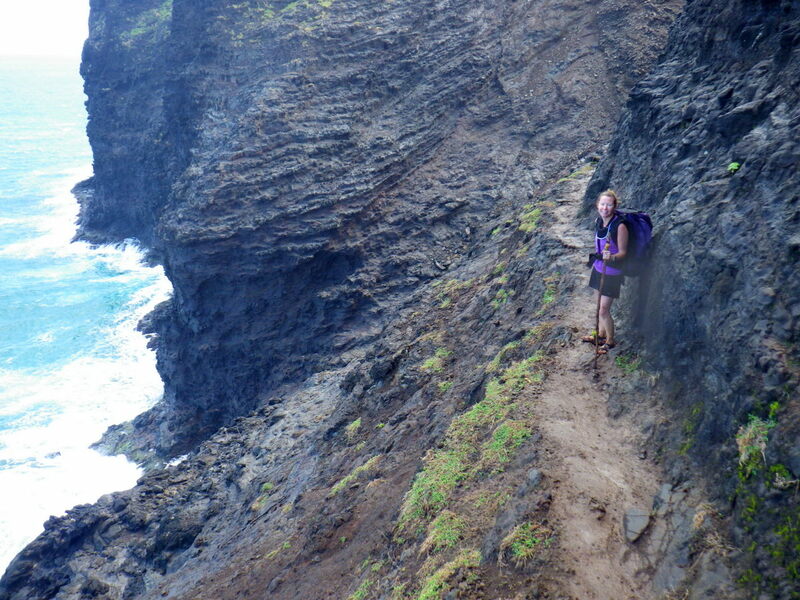 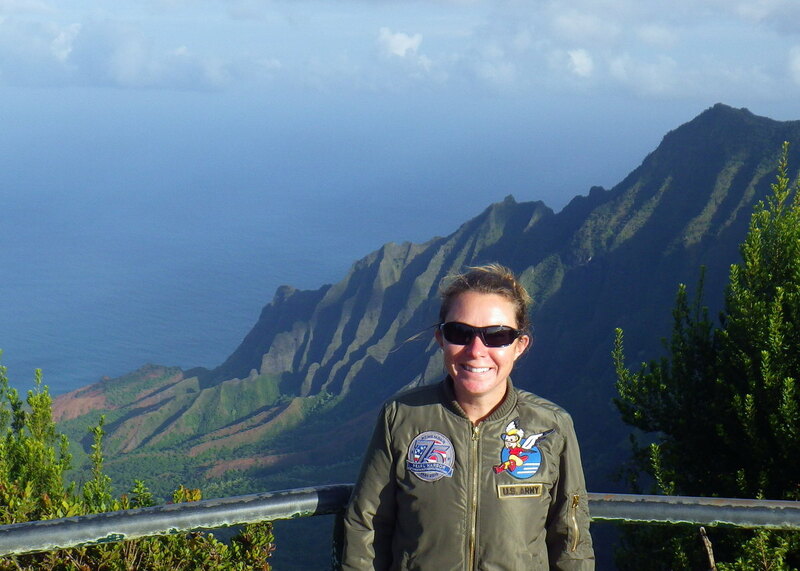 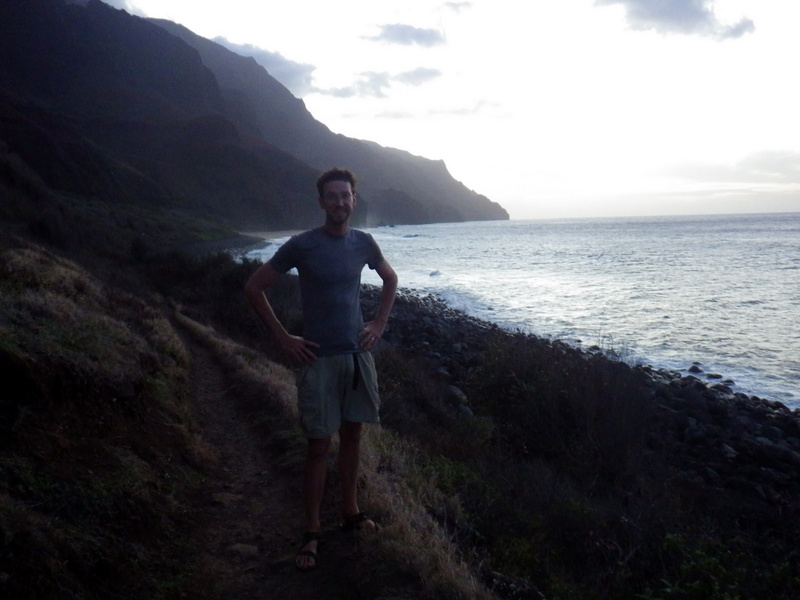 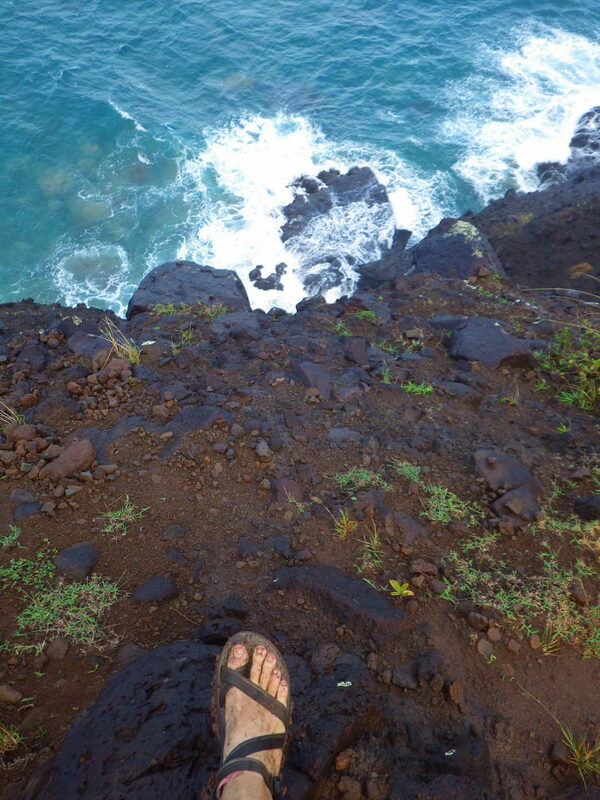 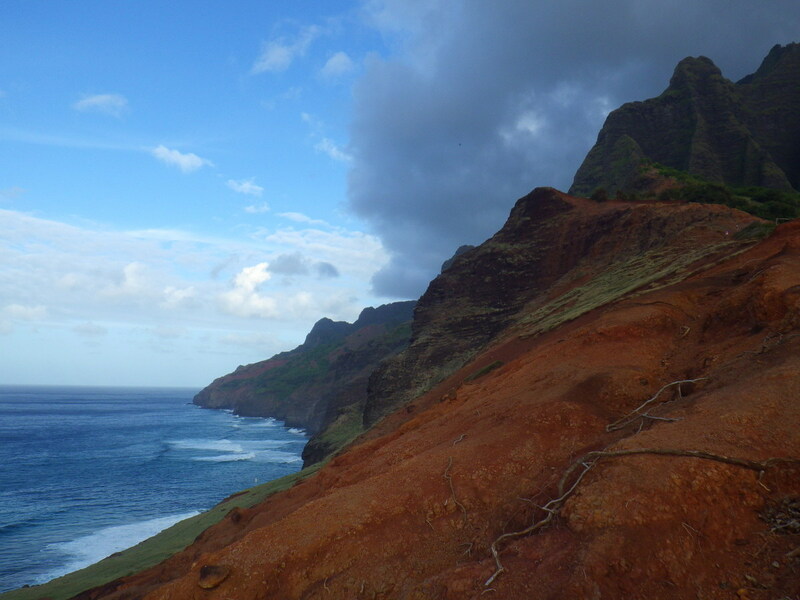 Description: The trail to Kalalau is hell, but the place itself is paradise—the most beautiful place in all the Hawaiian Islands. 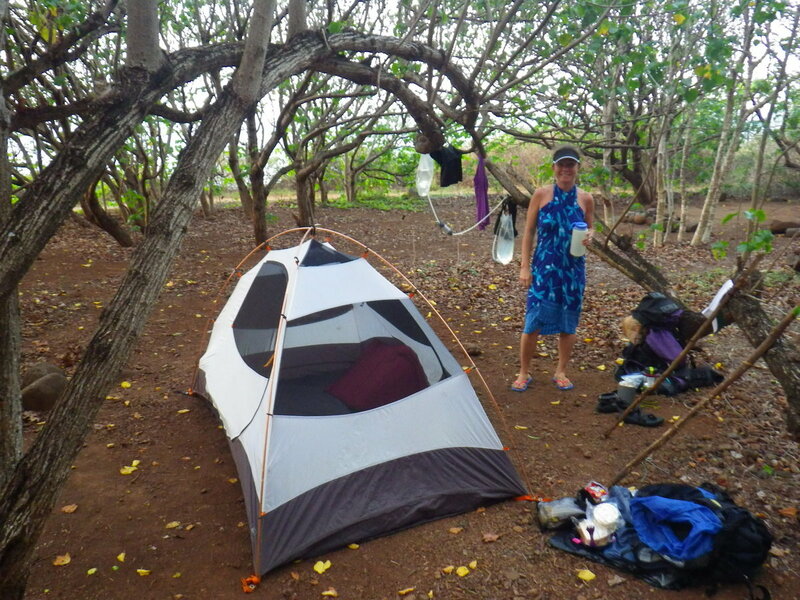 Two nights is the minimum amount of time we would recommend staying. 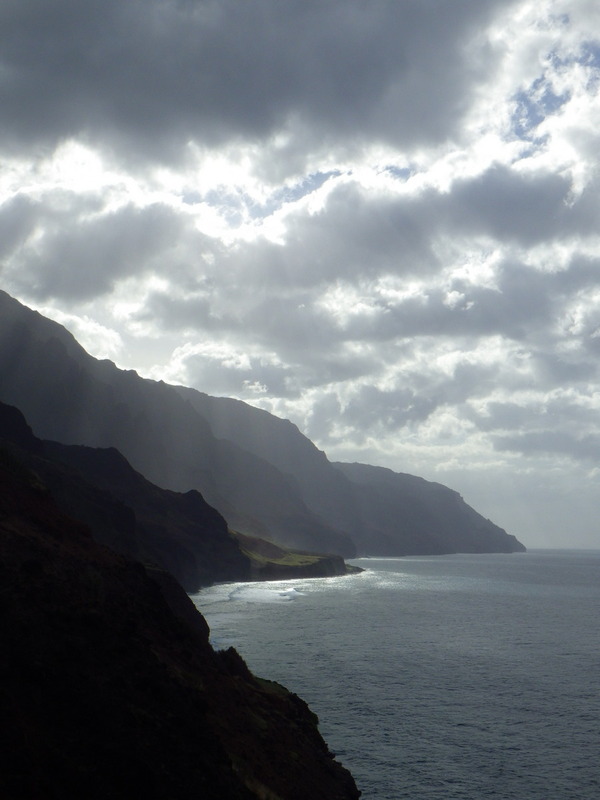 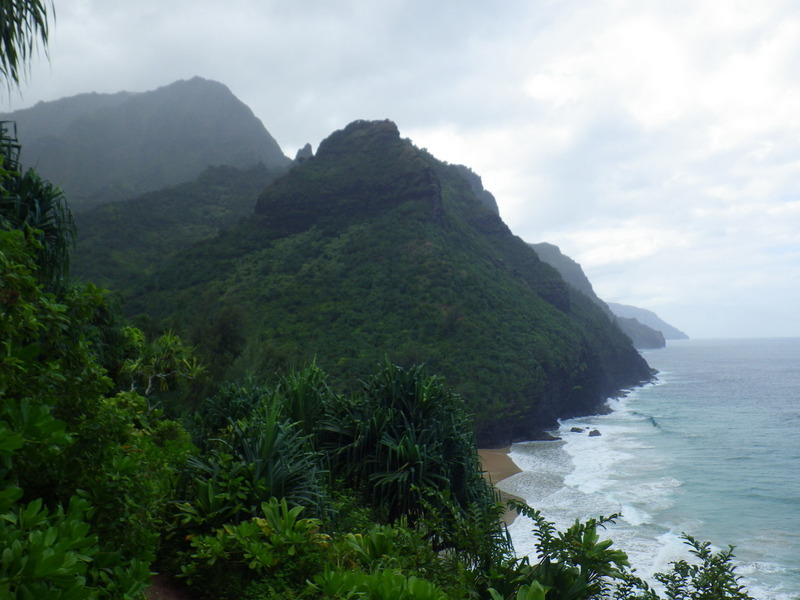 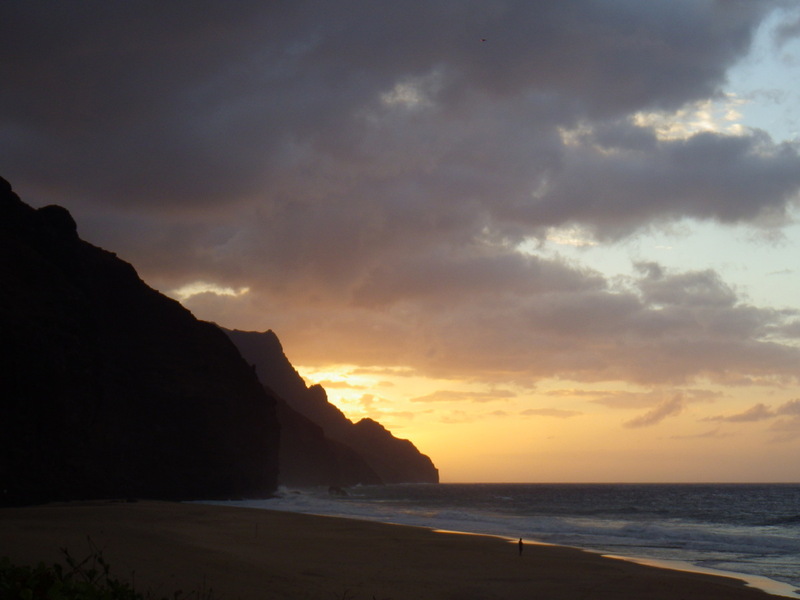 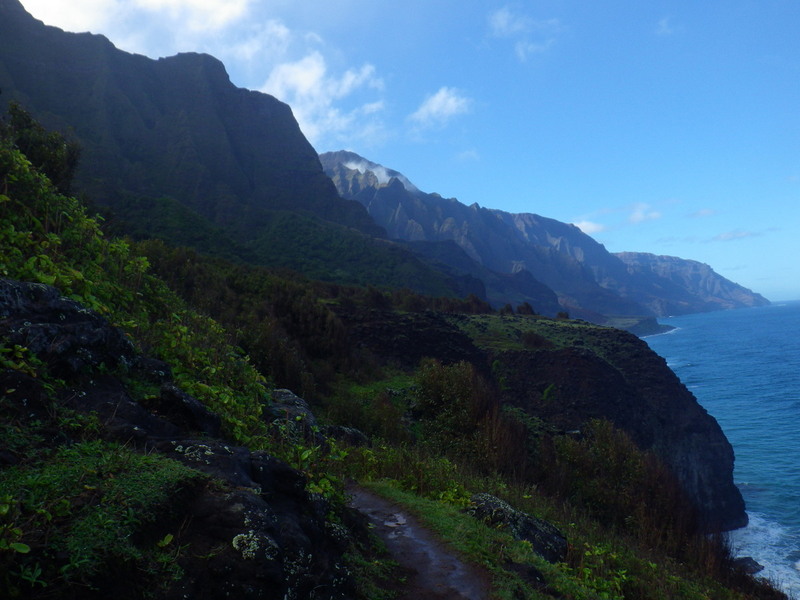 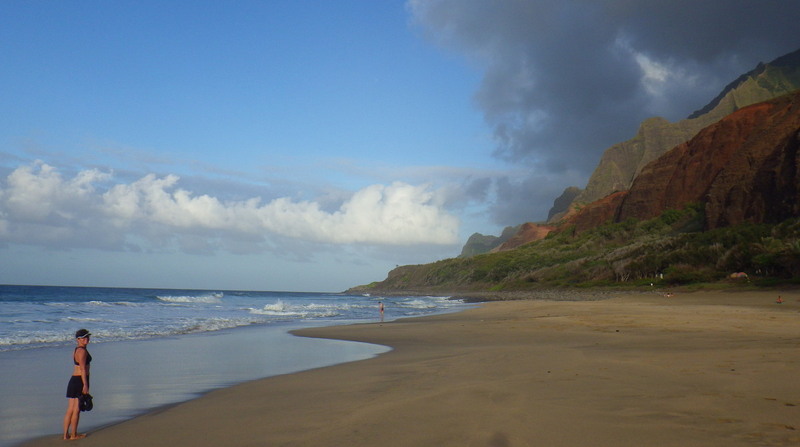 Description: The only access to the idyllic Kalalau Valley is via this 11-mile one-way treacherous trail along the stunningly beautiful Napali Coast. 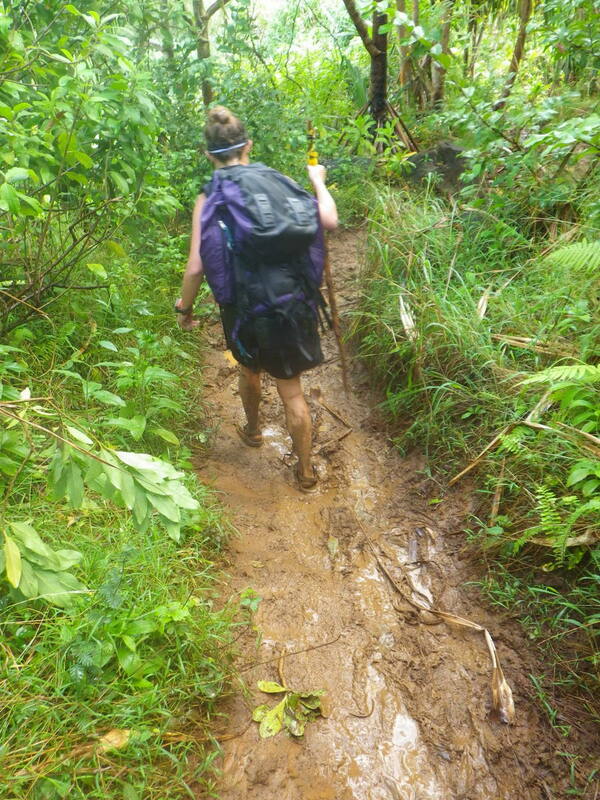 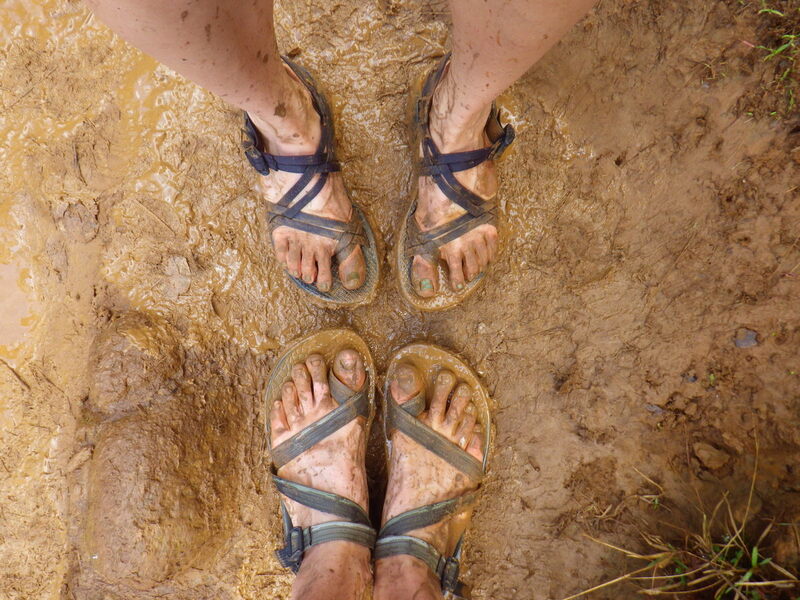 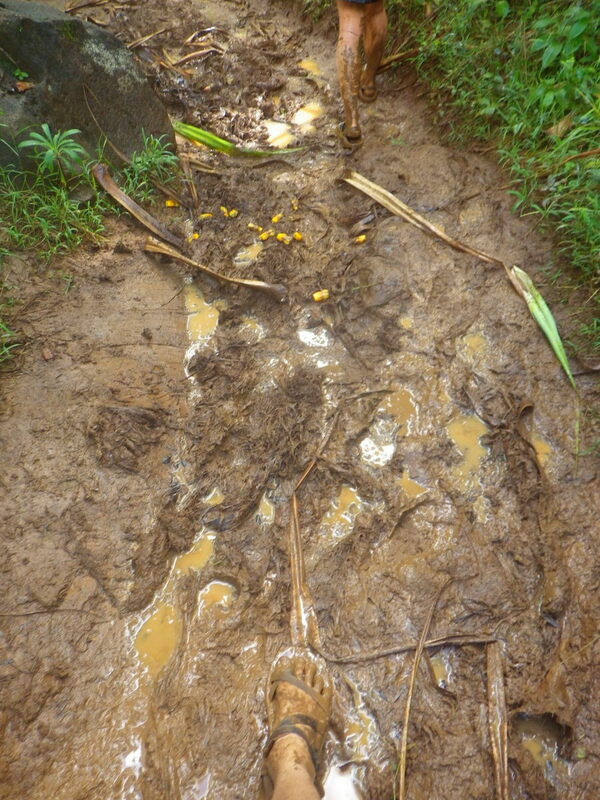 Several deep stream crossings and deep mud require shoes or sandals that can get wet and not destroy your feet as you ascend and descend each of the numerous valleys. 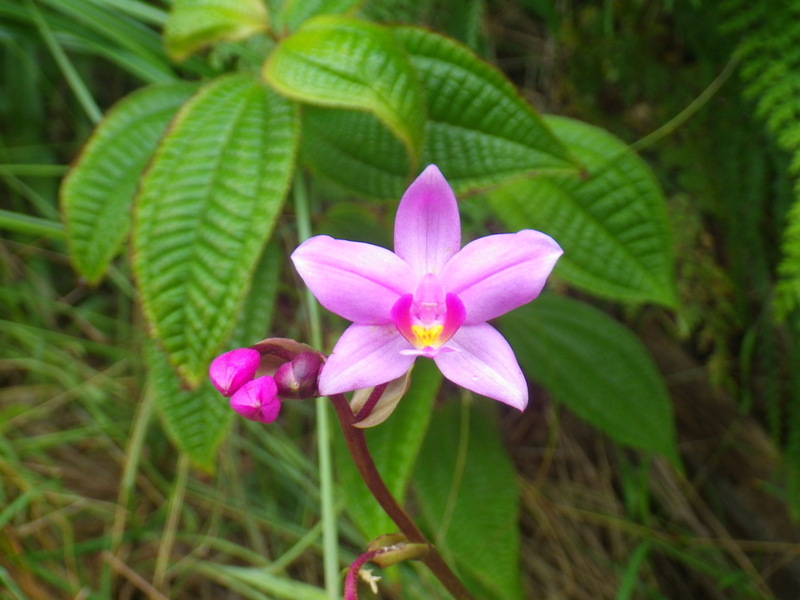 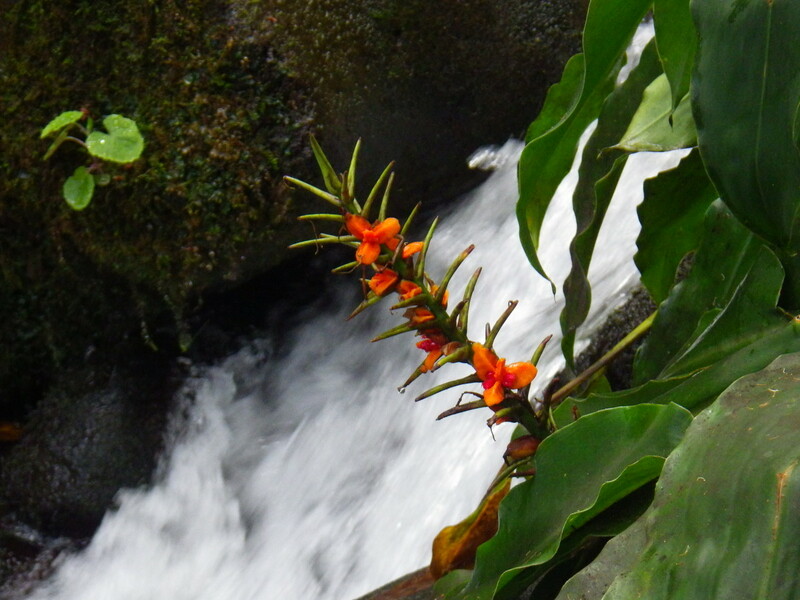 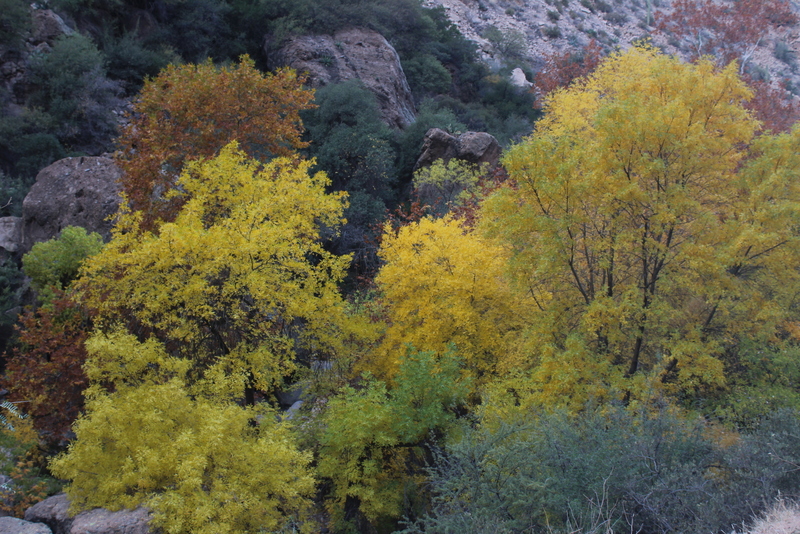 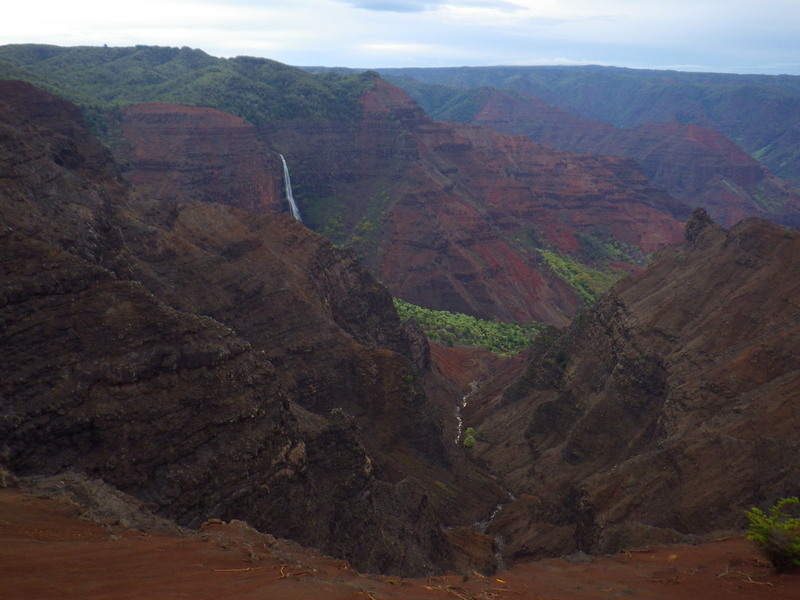 Description: The “Grand Canyon of Hawaii” is 3,600-feet deep and very colorful. 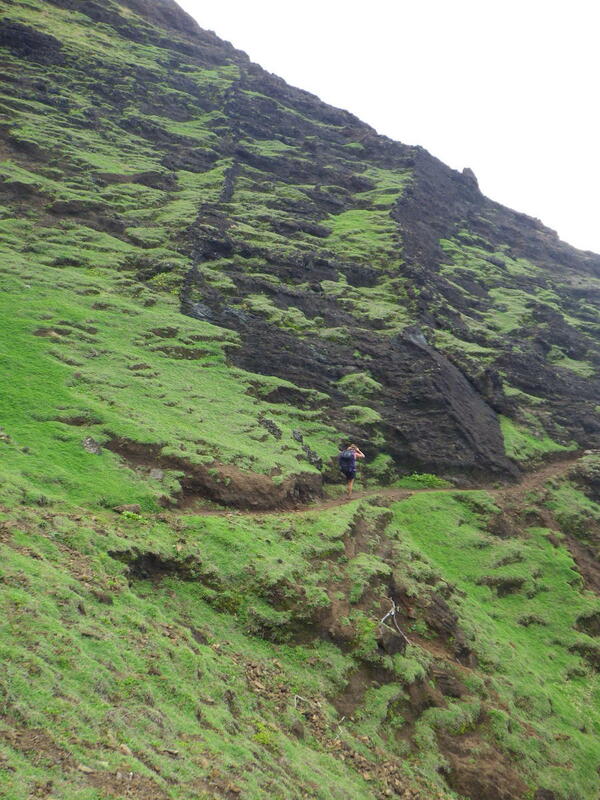 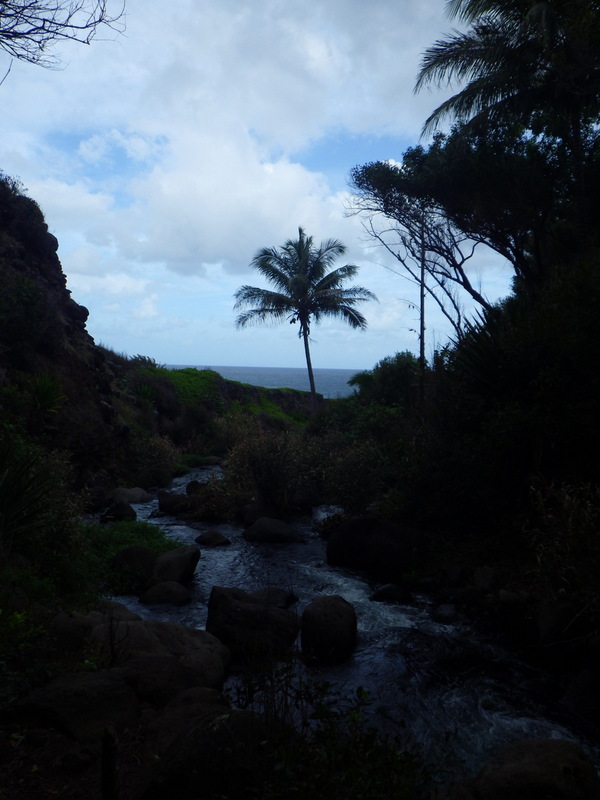 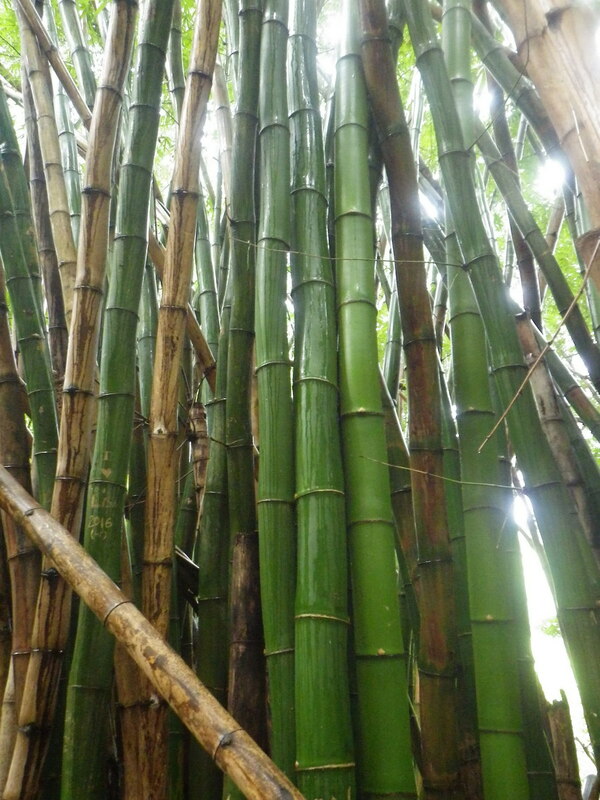 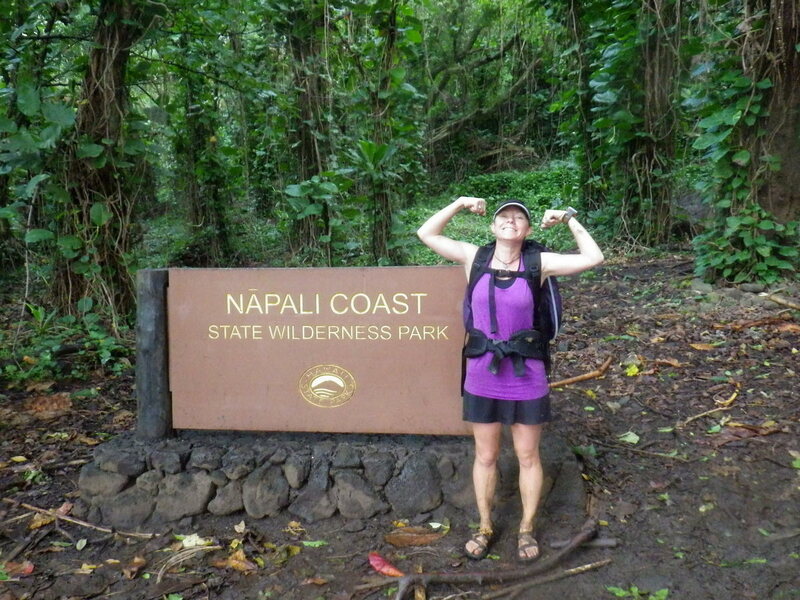 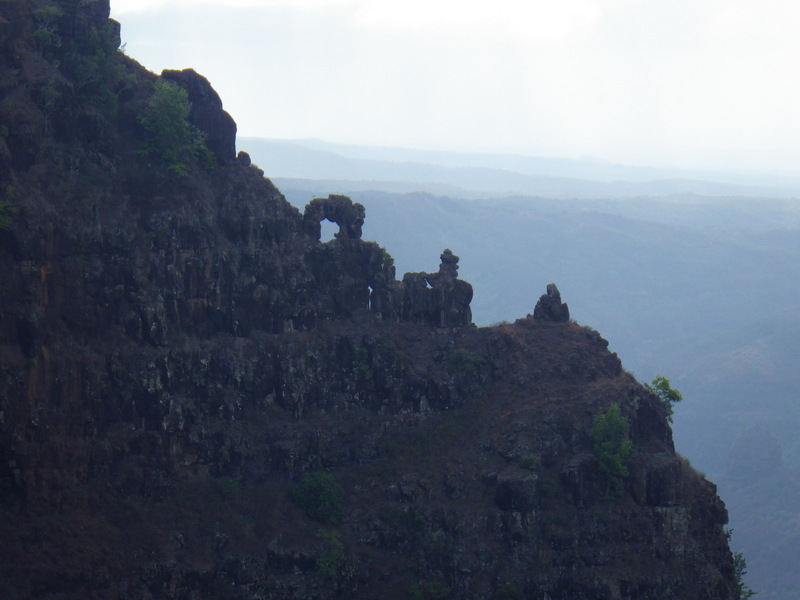 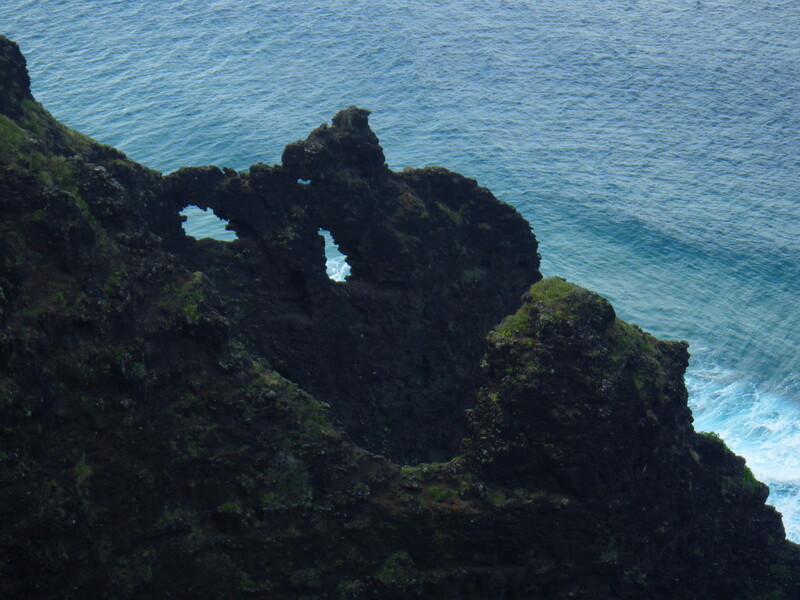 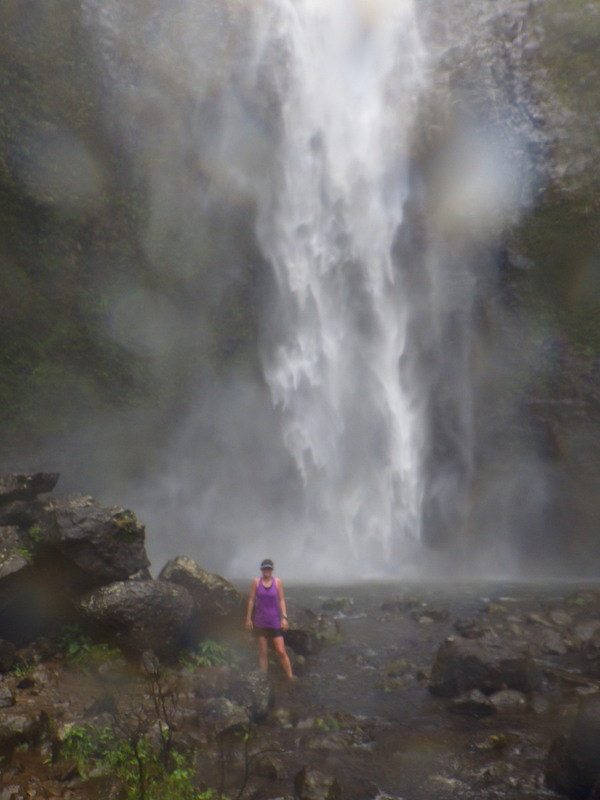 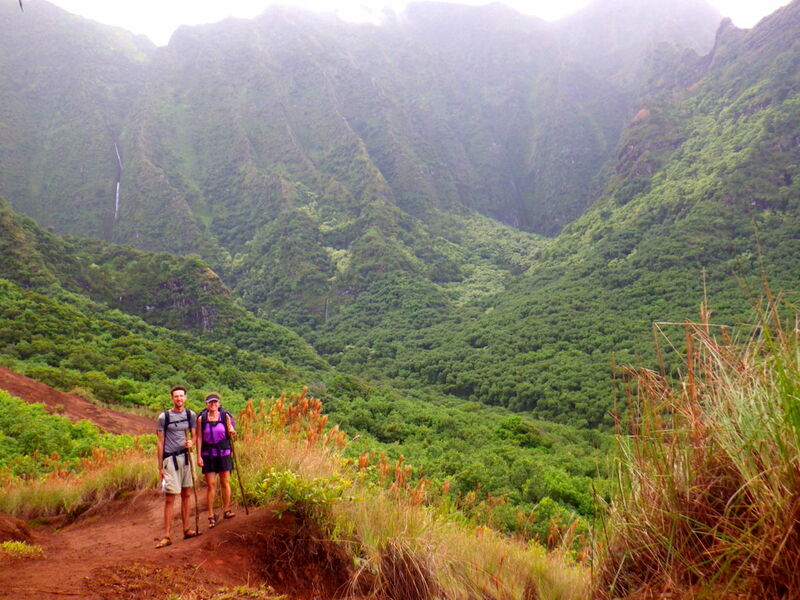 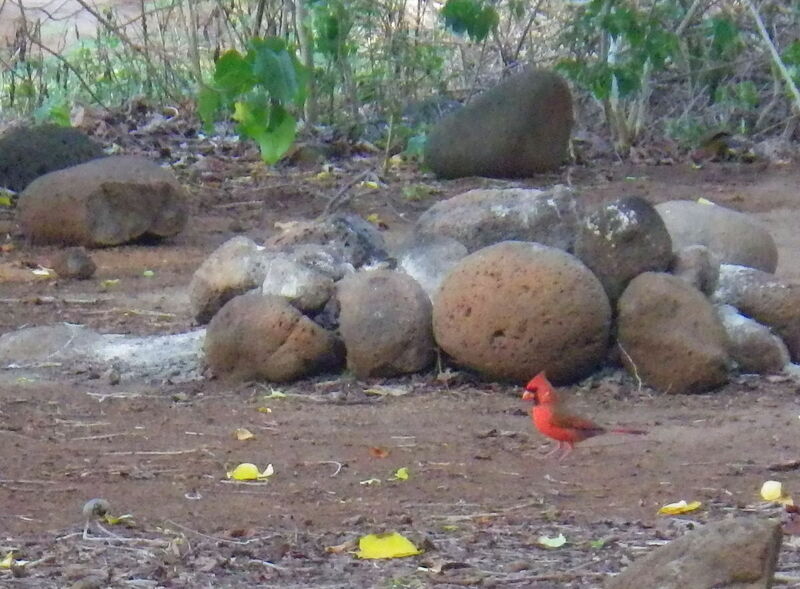 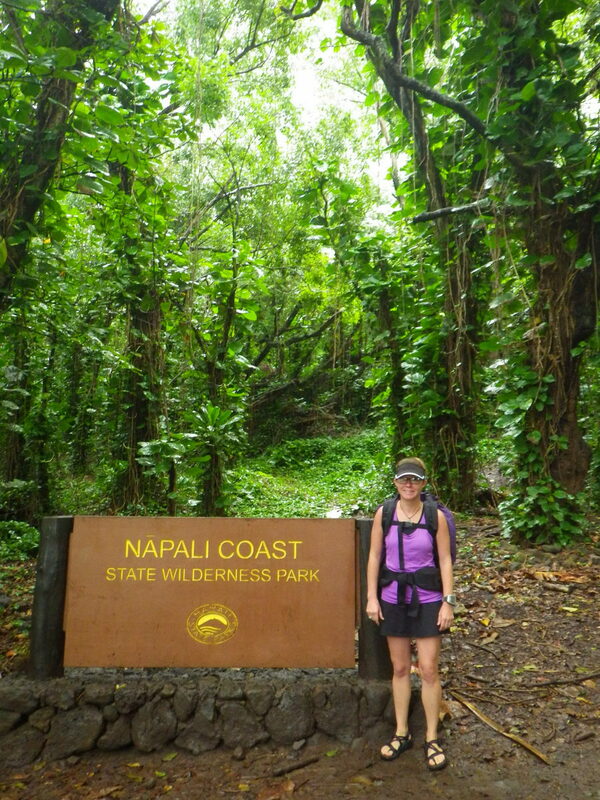 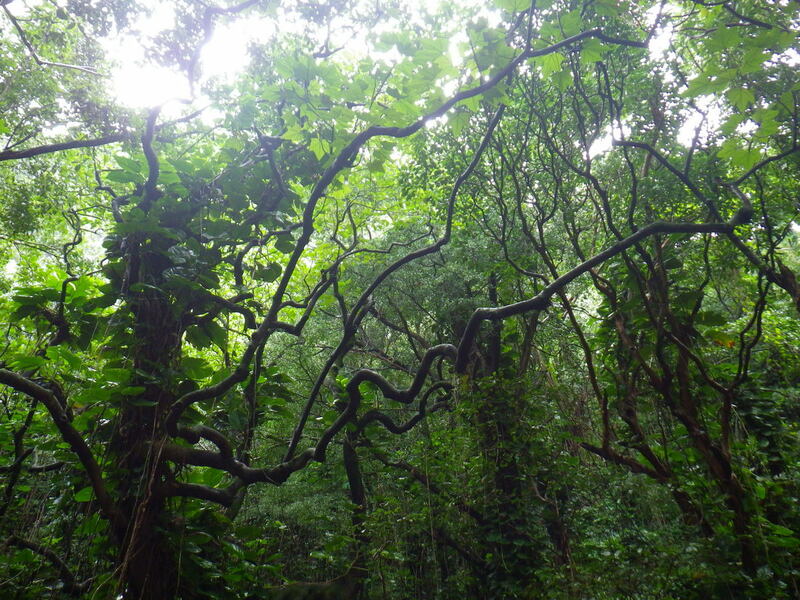 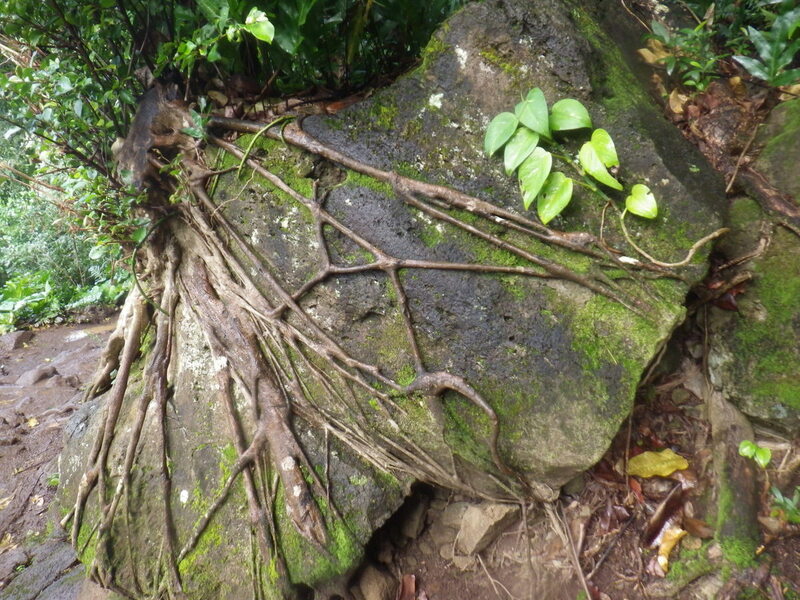 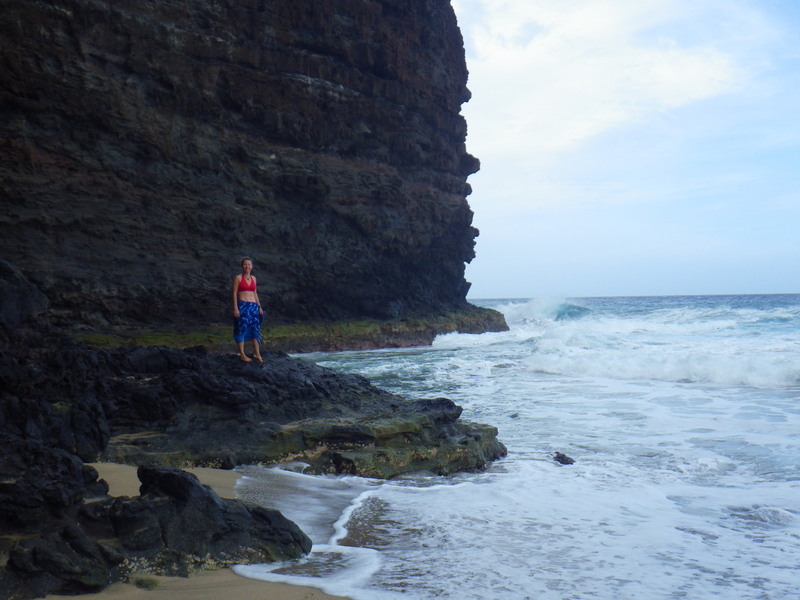 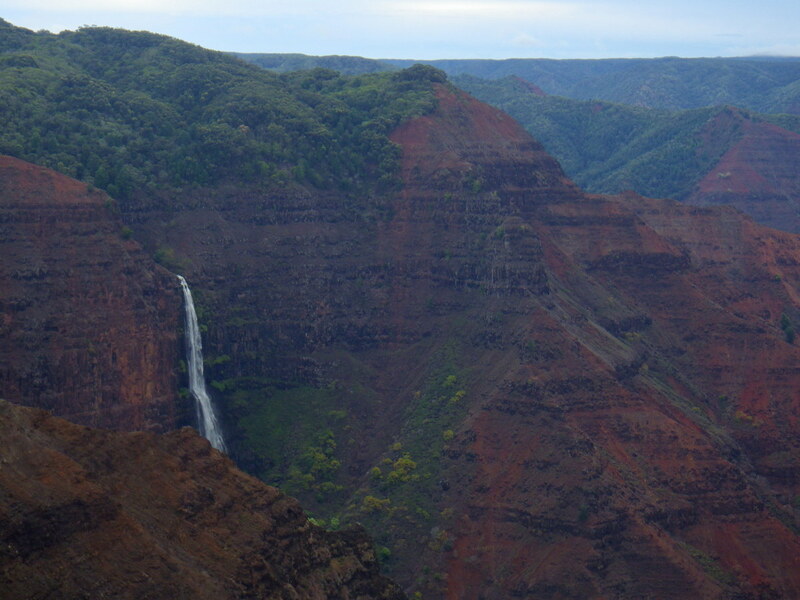 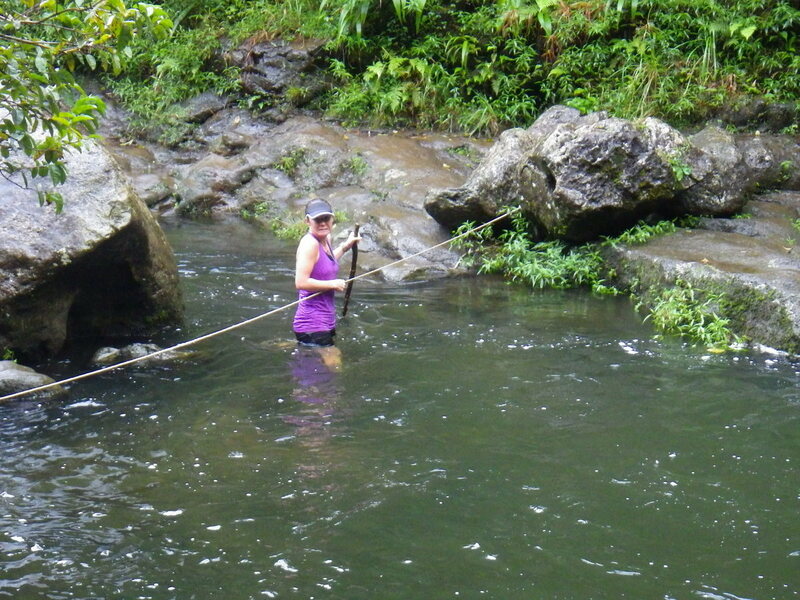 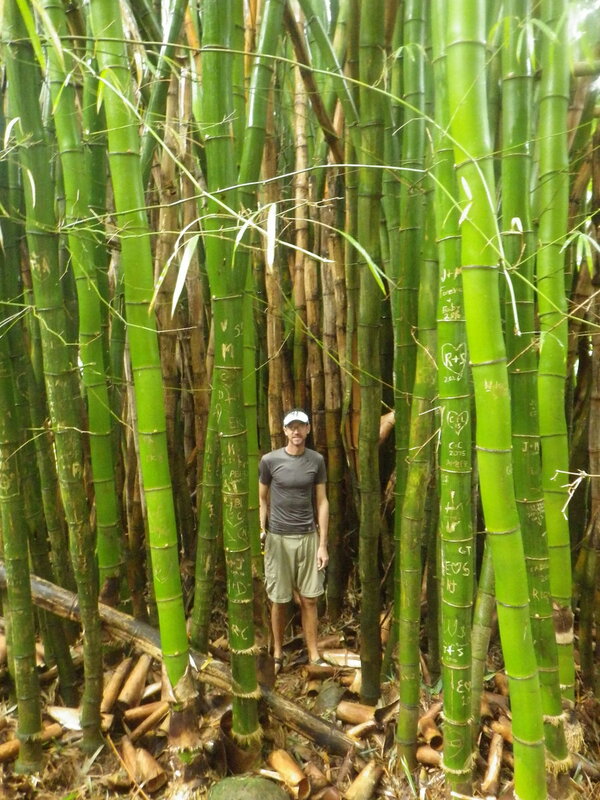 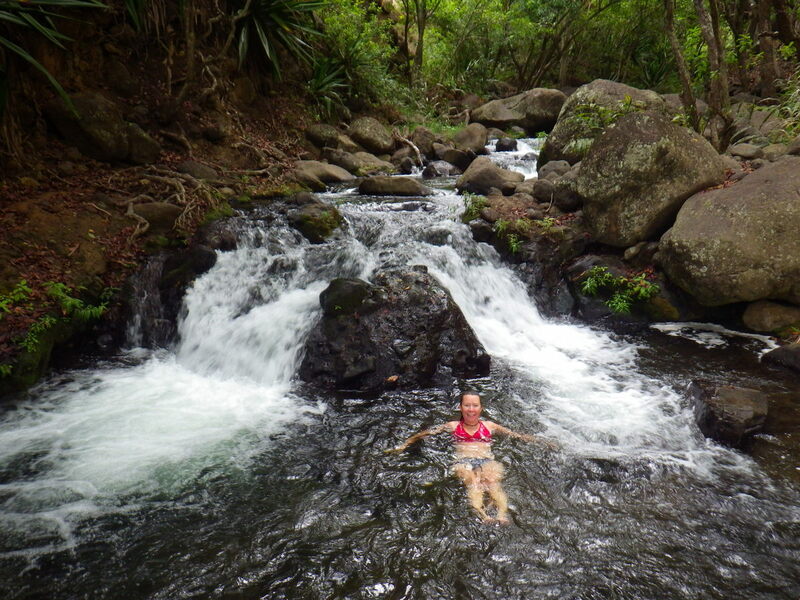 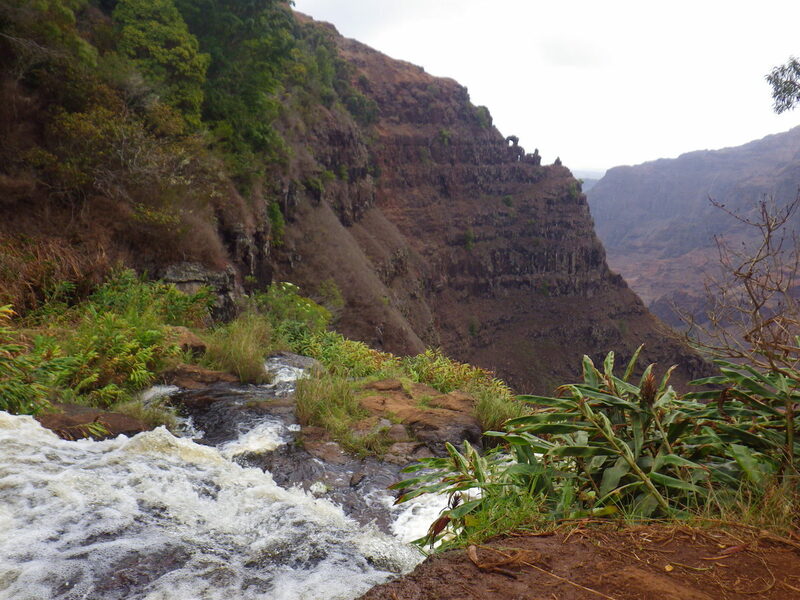 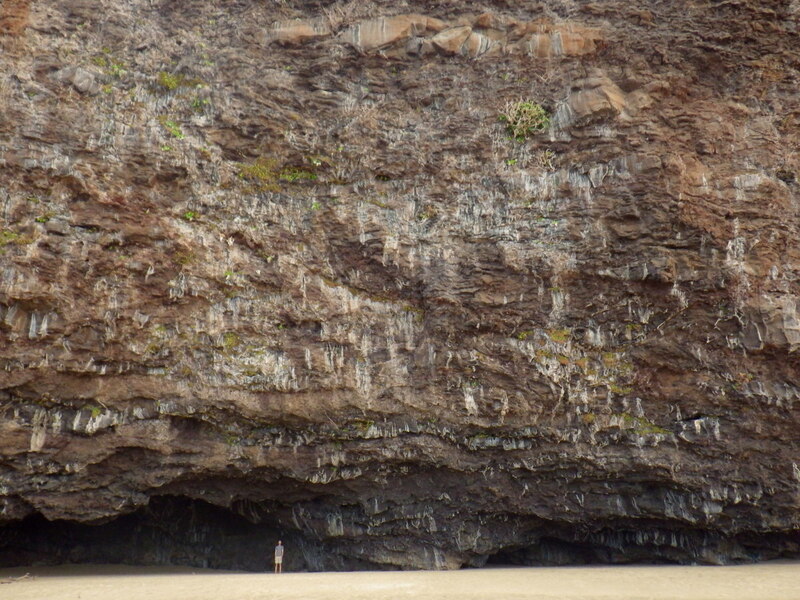 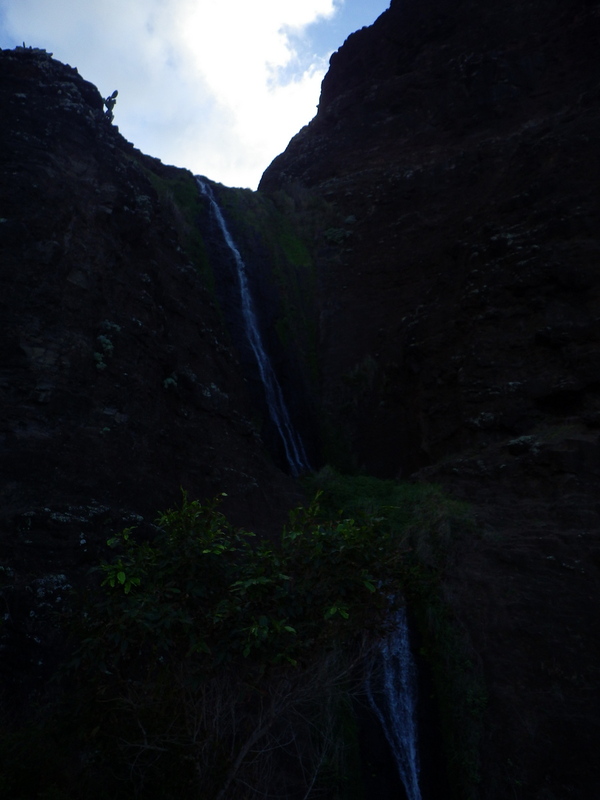 Many trails crisscross these two state parks, including the one we took to the top of 800-foot Waipo’o Falls. 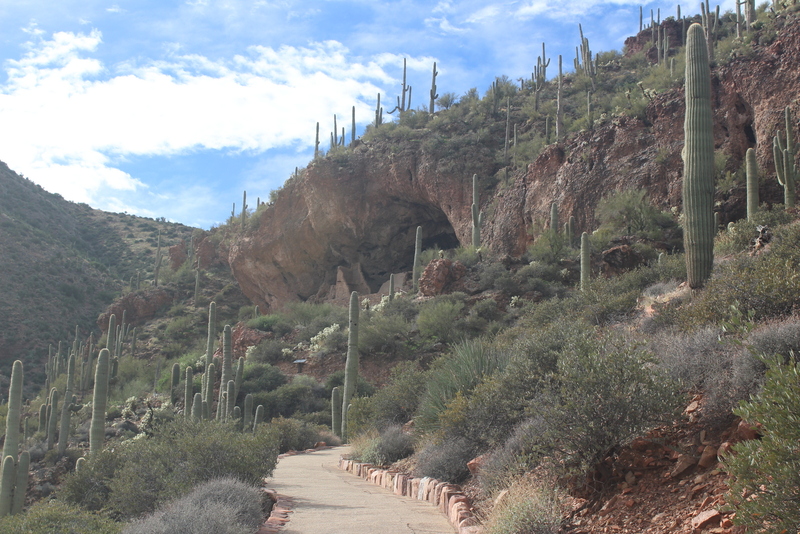 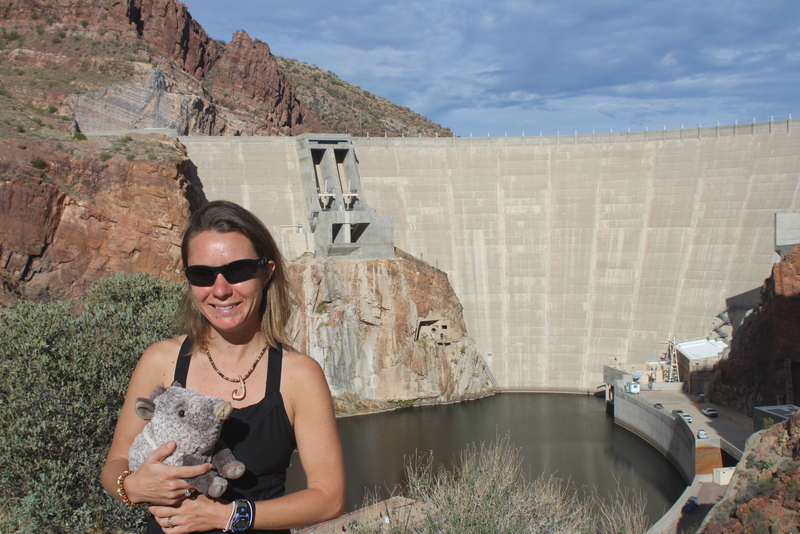 Description: We enjoyed our 2-mile hike to Twin Arches and look forward to returning to this park to explore its other trails and waterways. 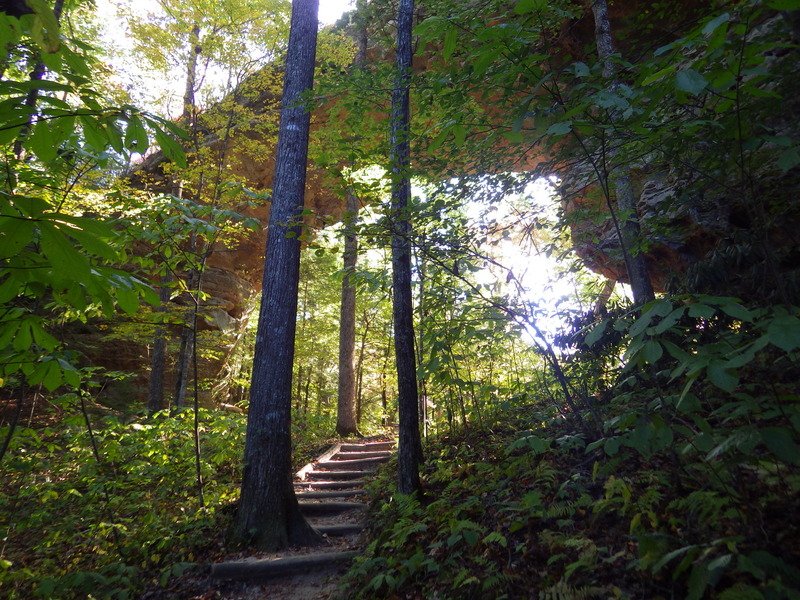 Description: An 8-mile long trail runs along the banks of the Bluestone River between Bluestone State Park and Pipestem Resort State Park (where a ski lift runs from the rim to river bottom). 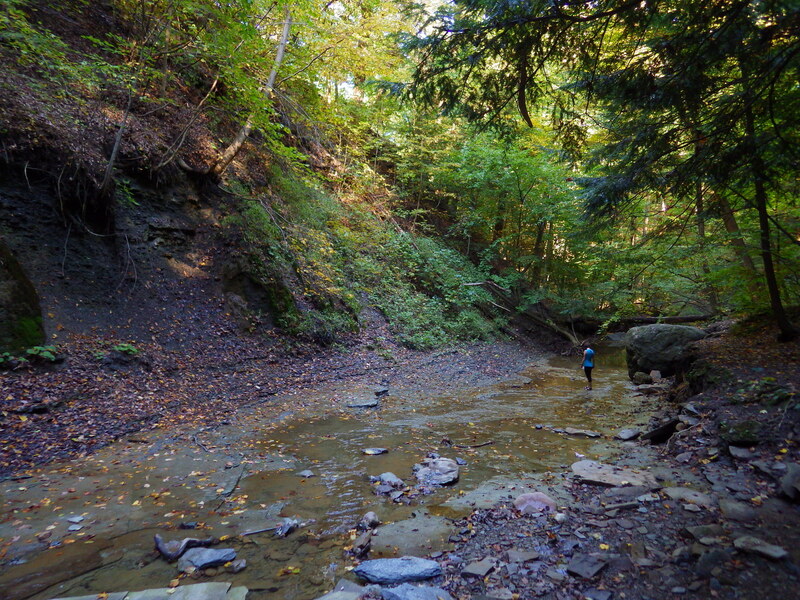 Description: Spread out north-south following the route of the historic Ohio & Erie Canalway, we love hiking in this wooded section of wild Ohio. 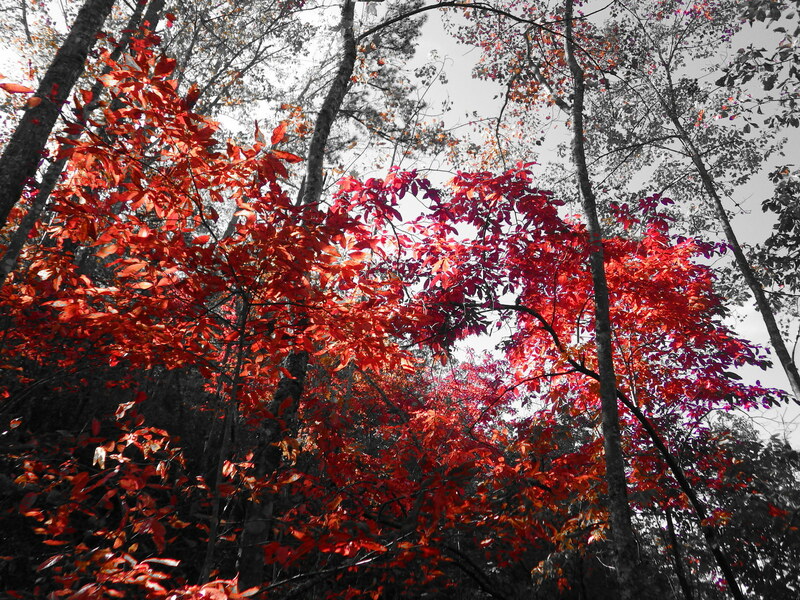 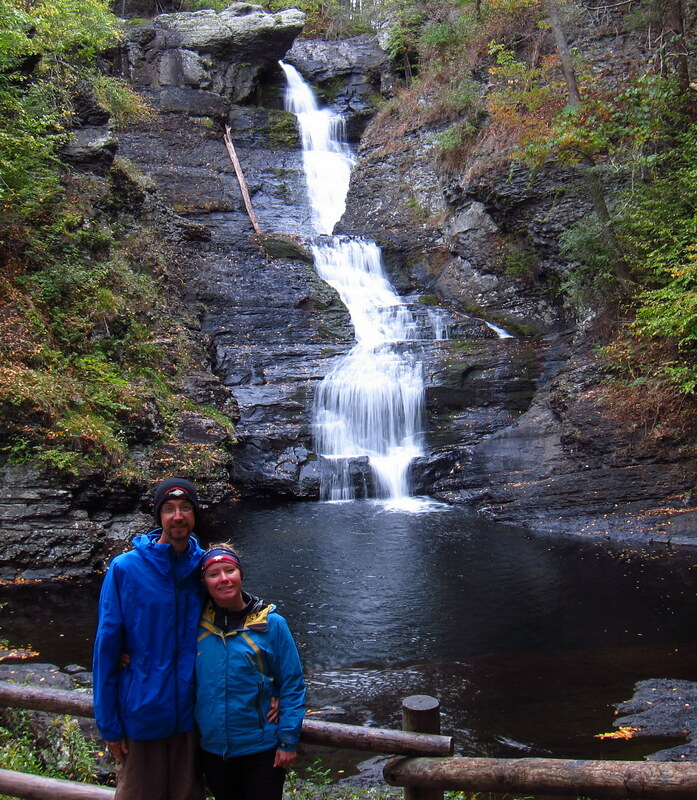 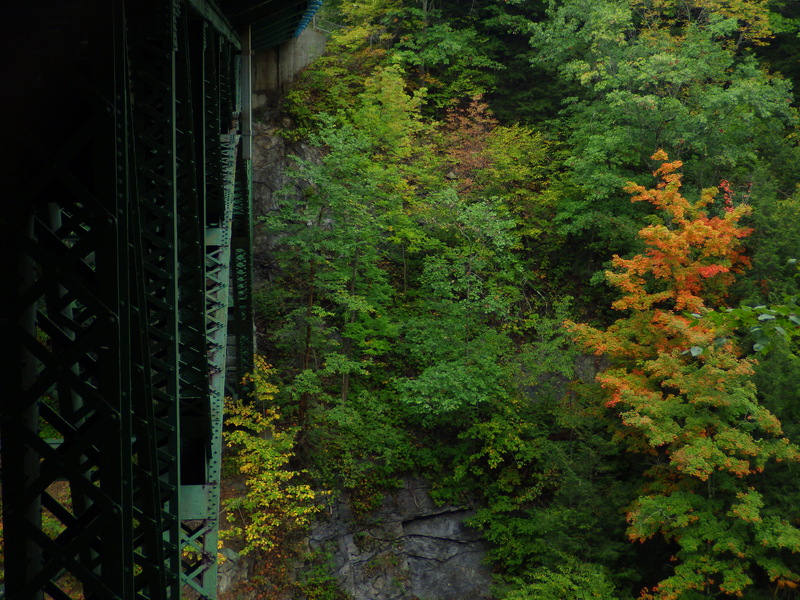 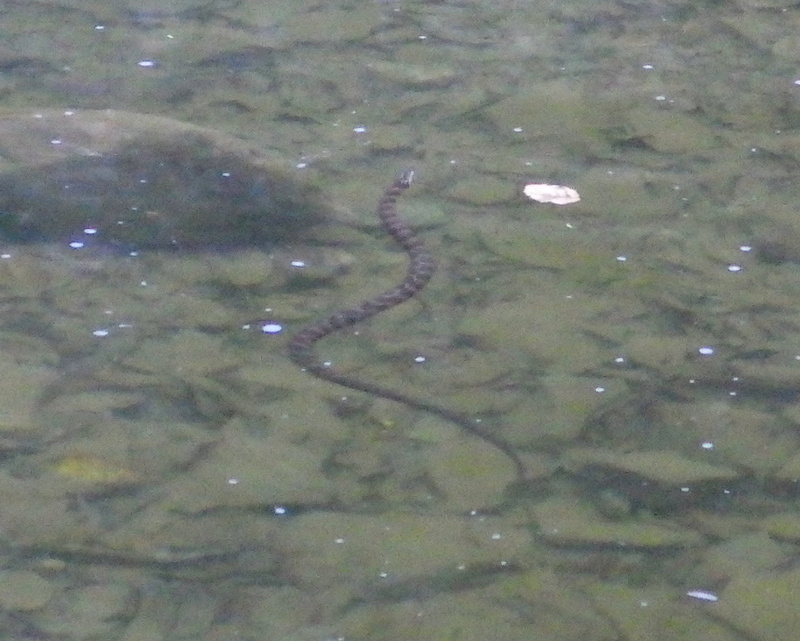 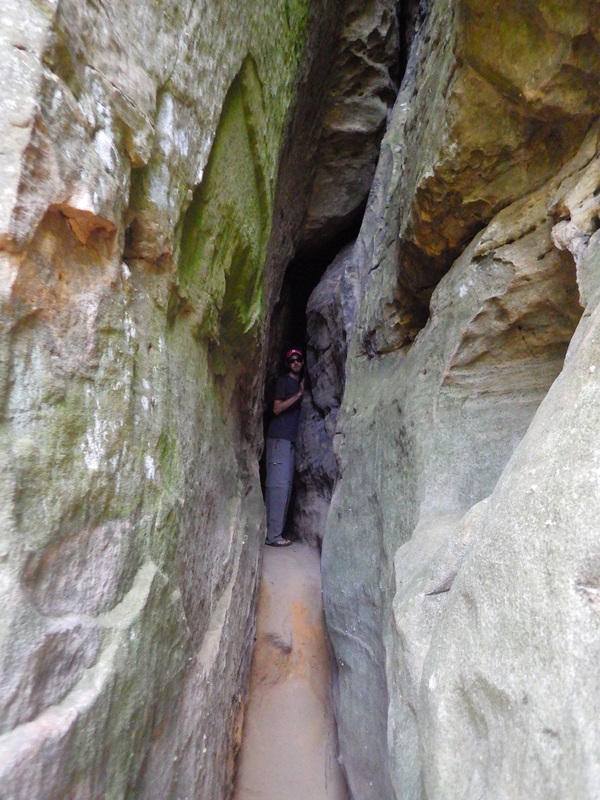 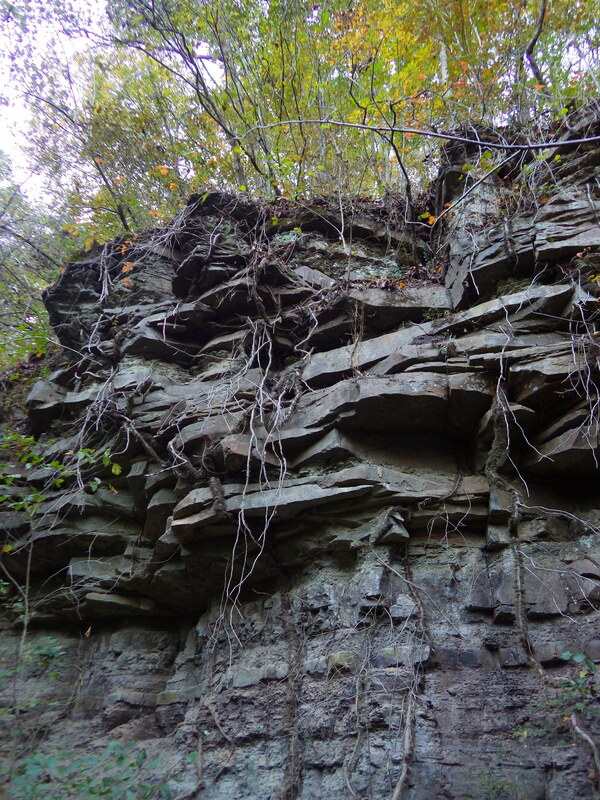 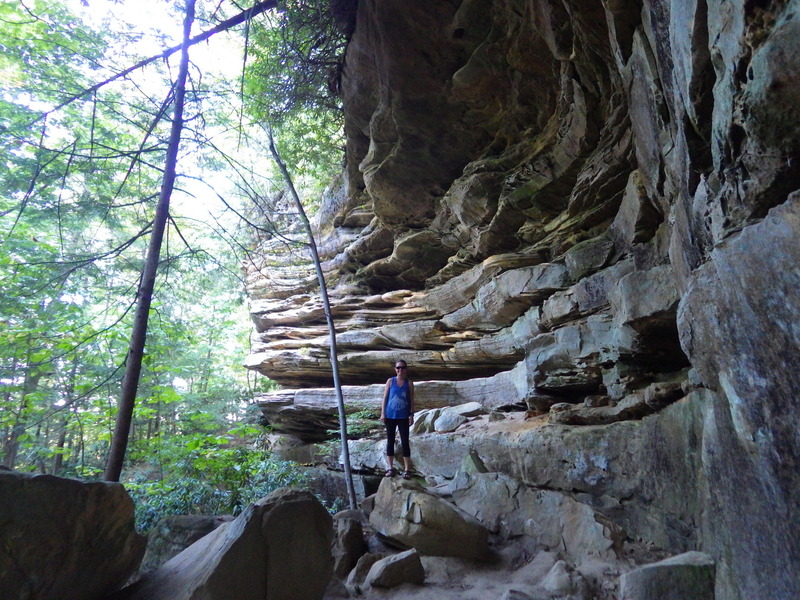 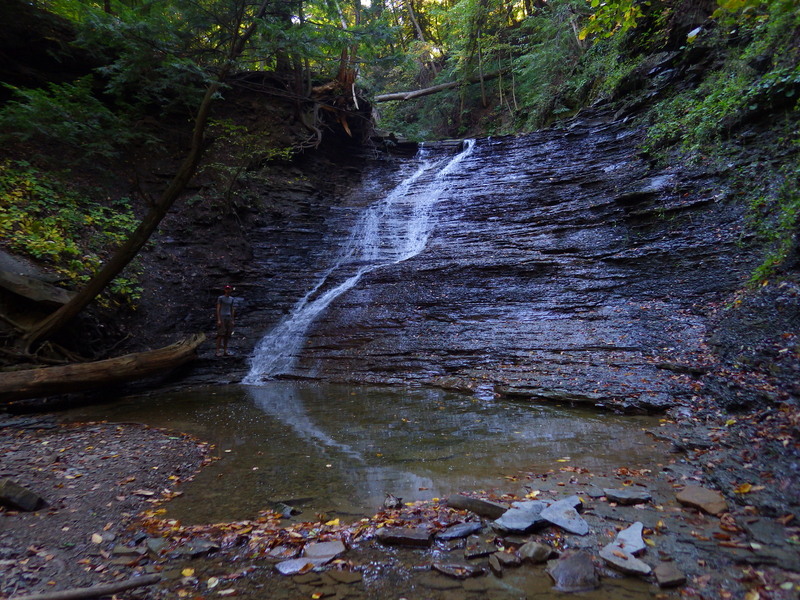 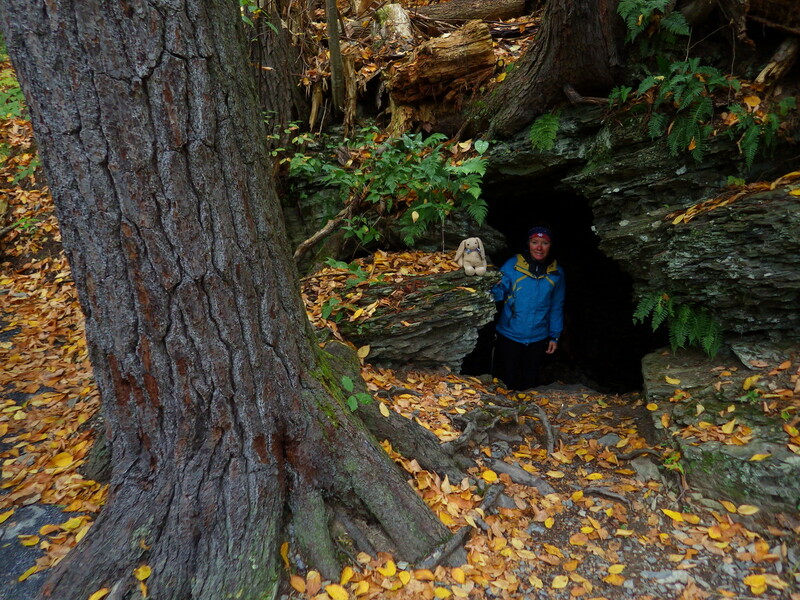 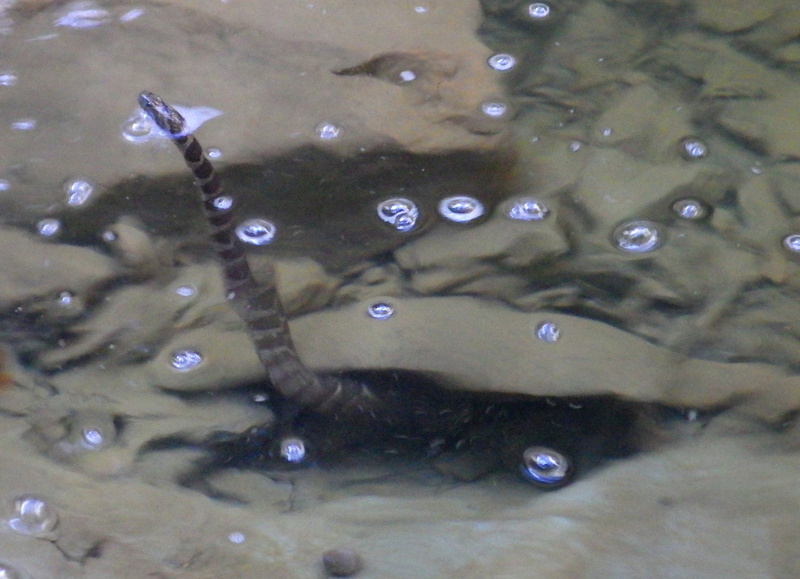 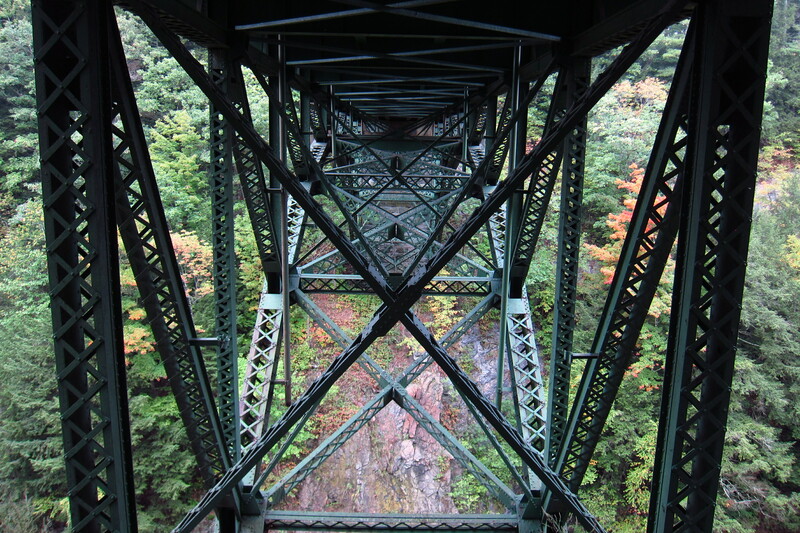 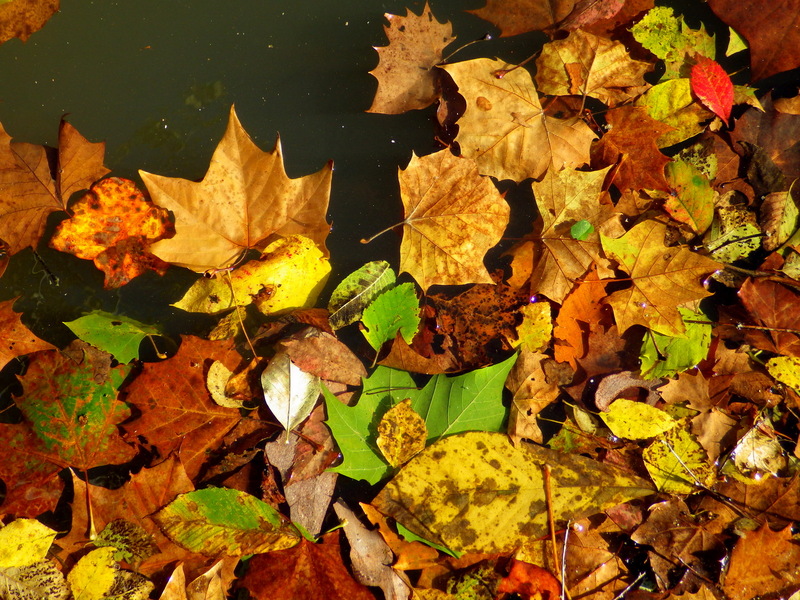 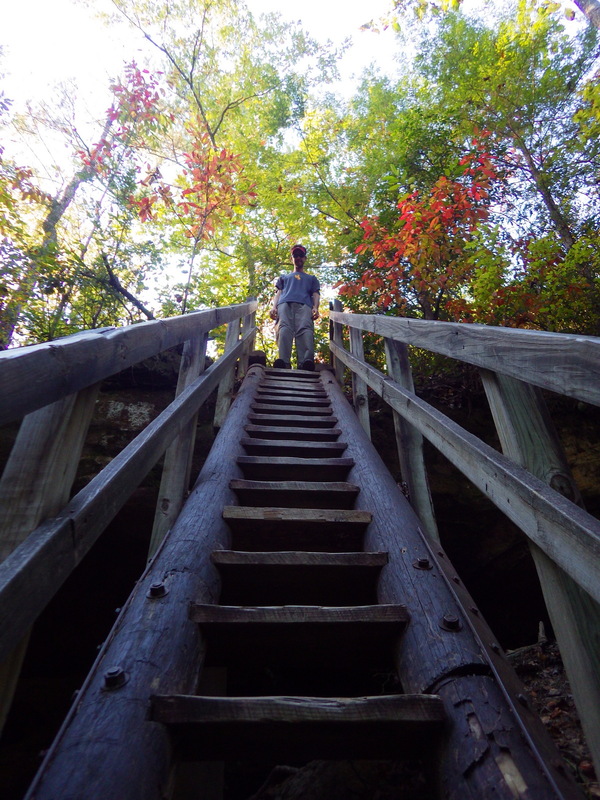 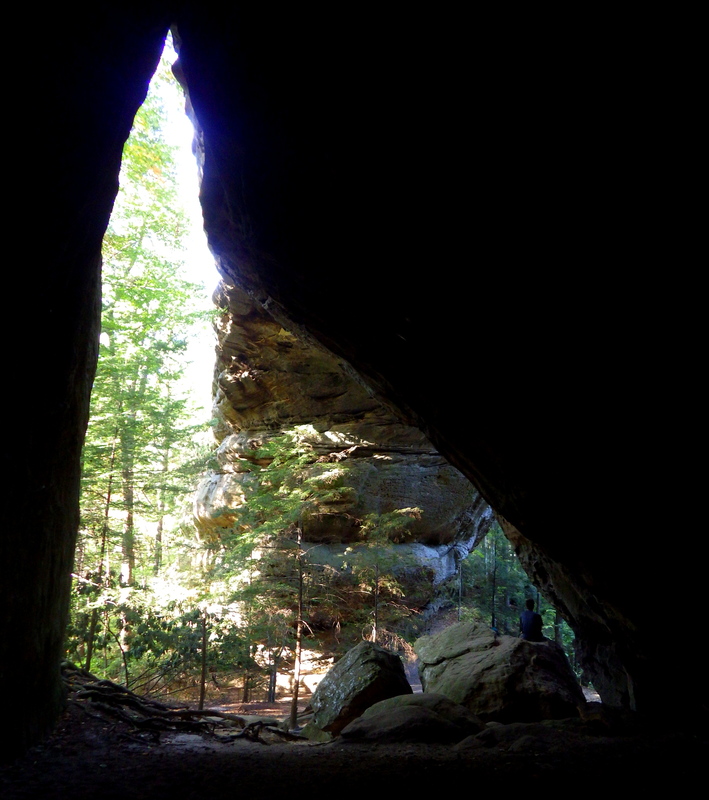 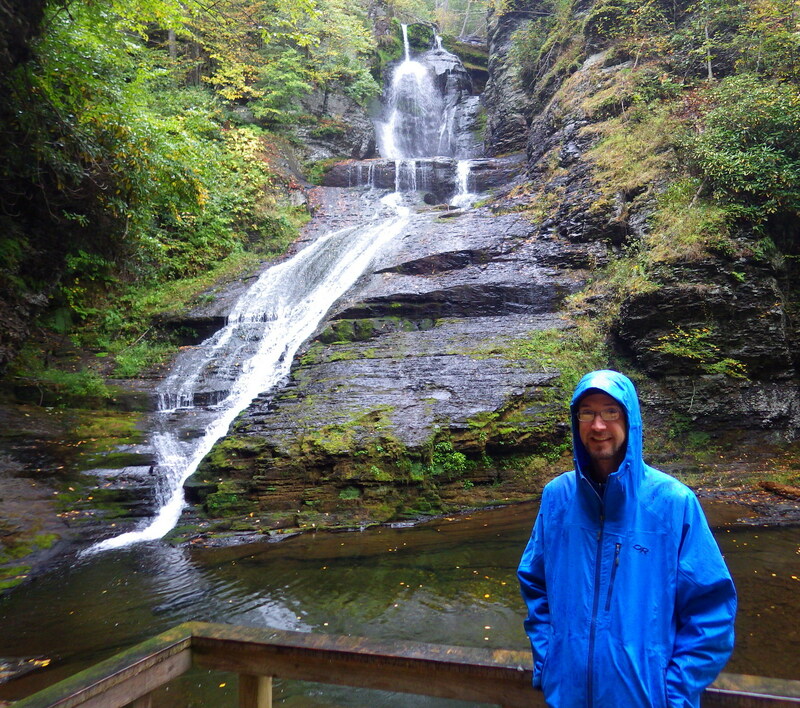 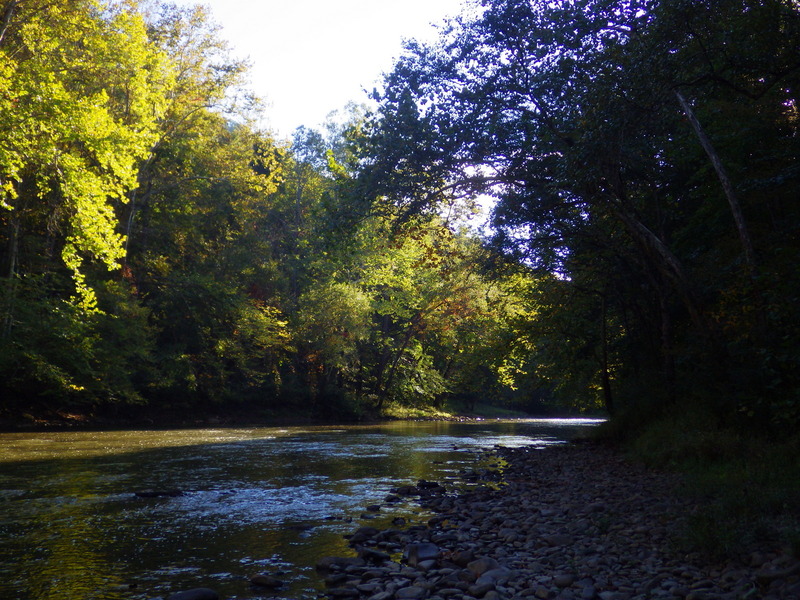 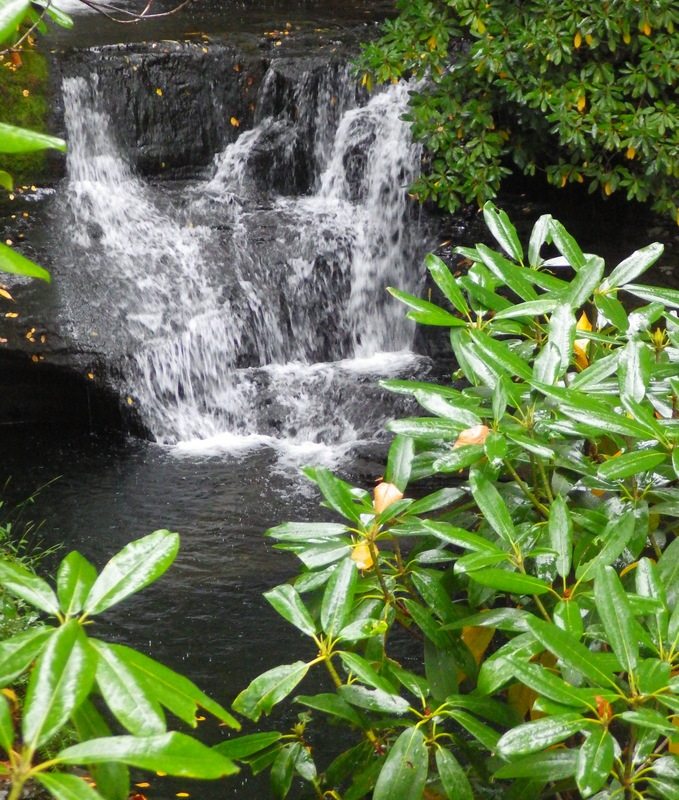 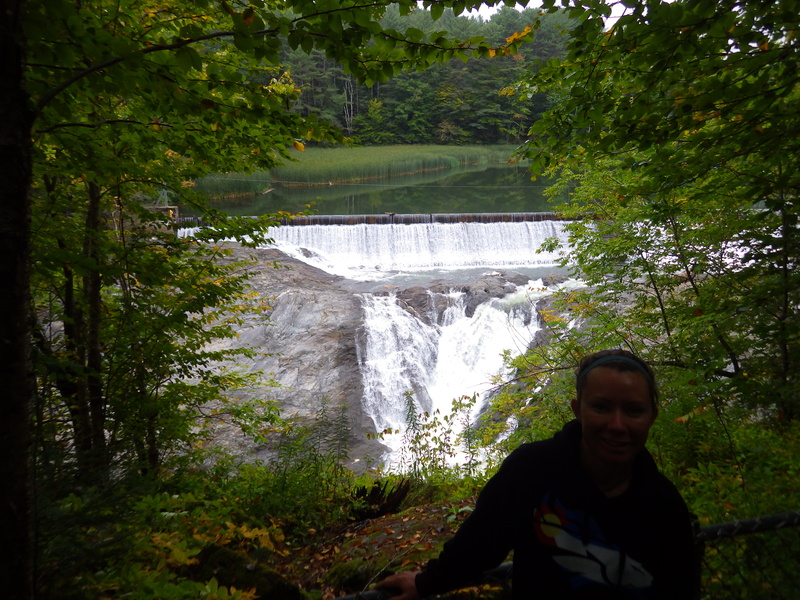 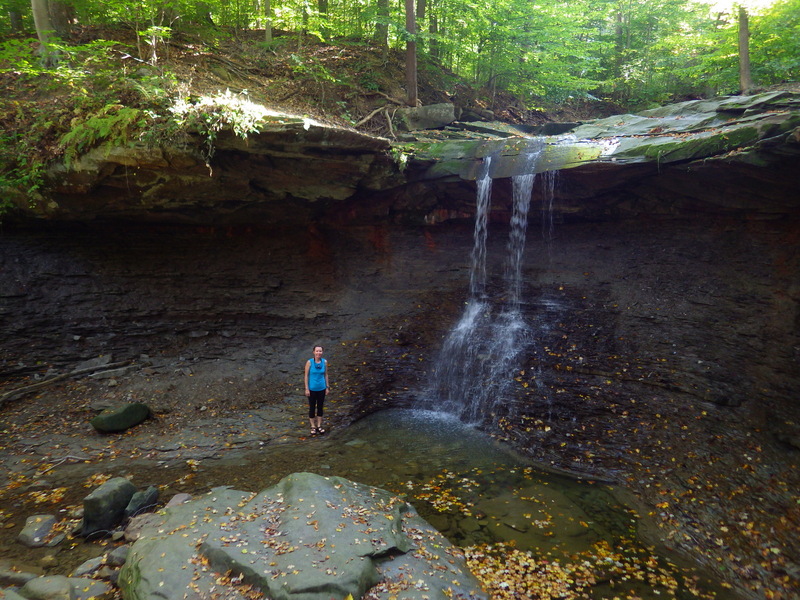 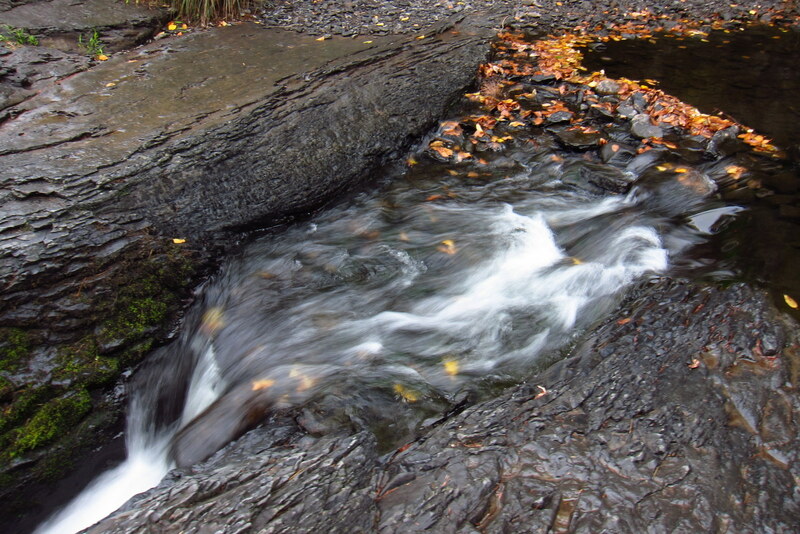 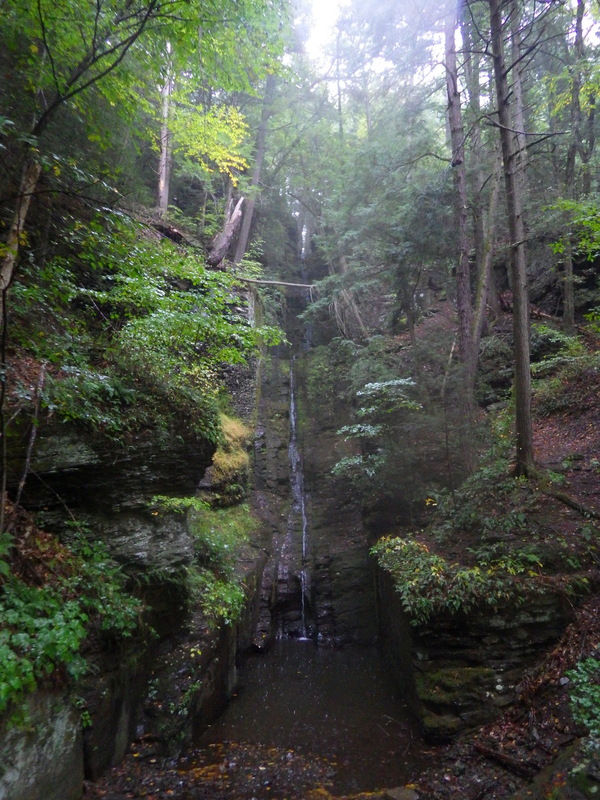 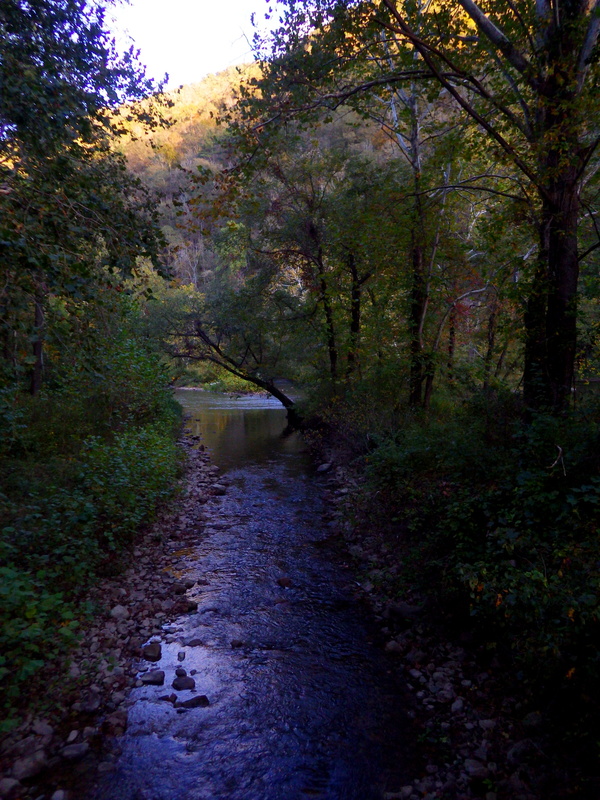 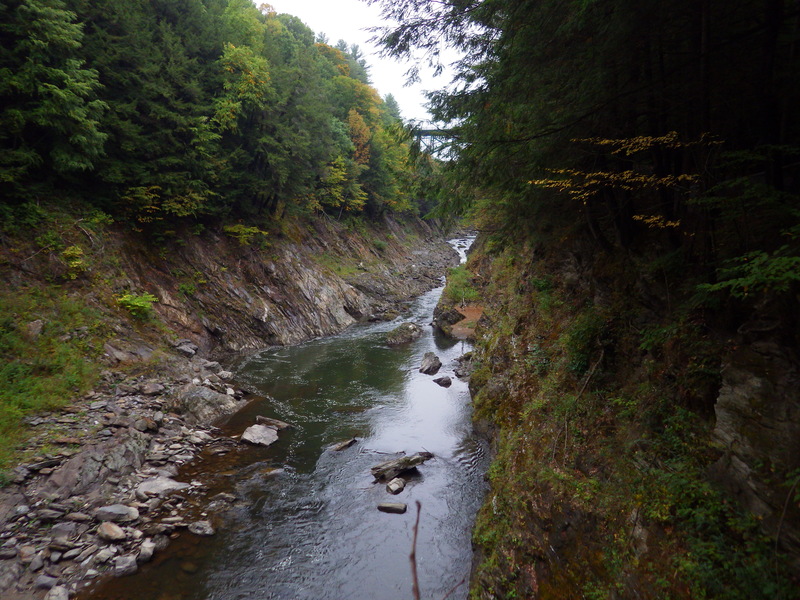 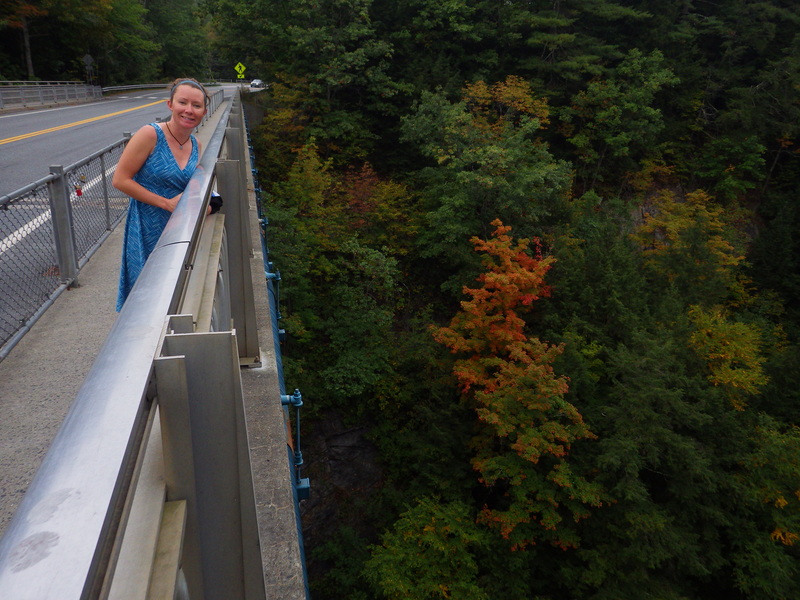 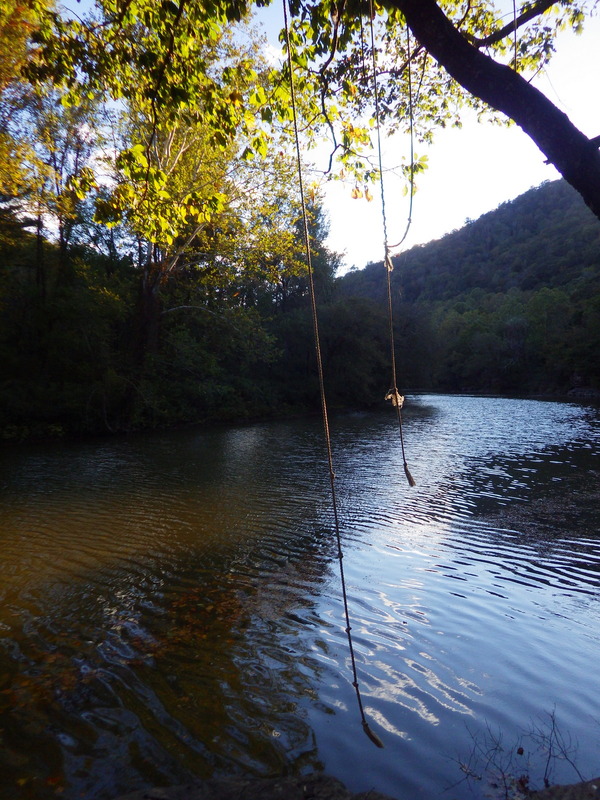 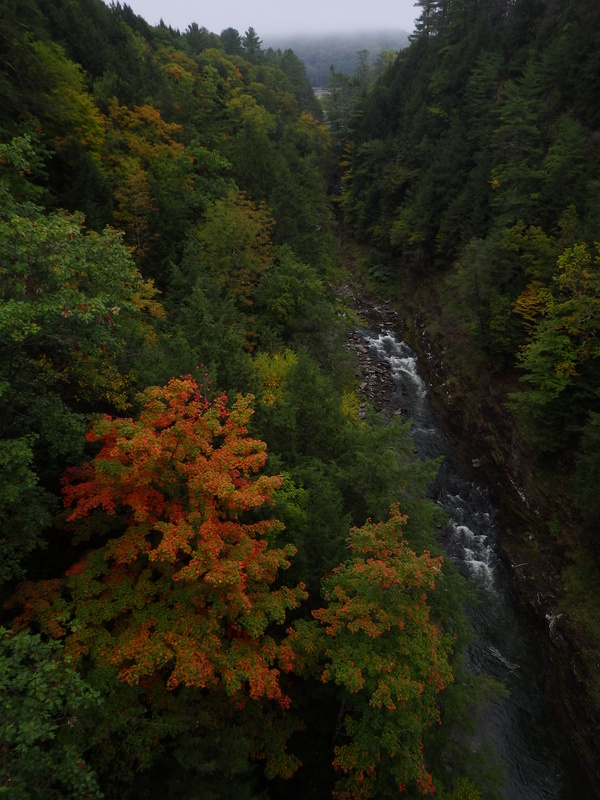 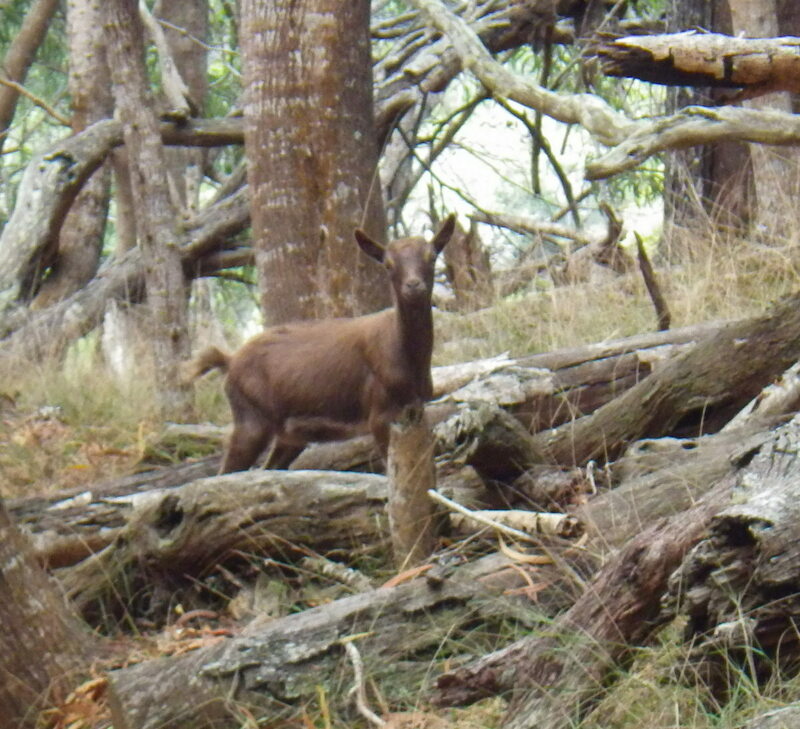 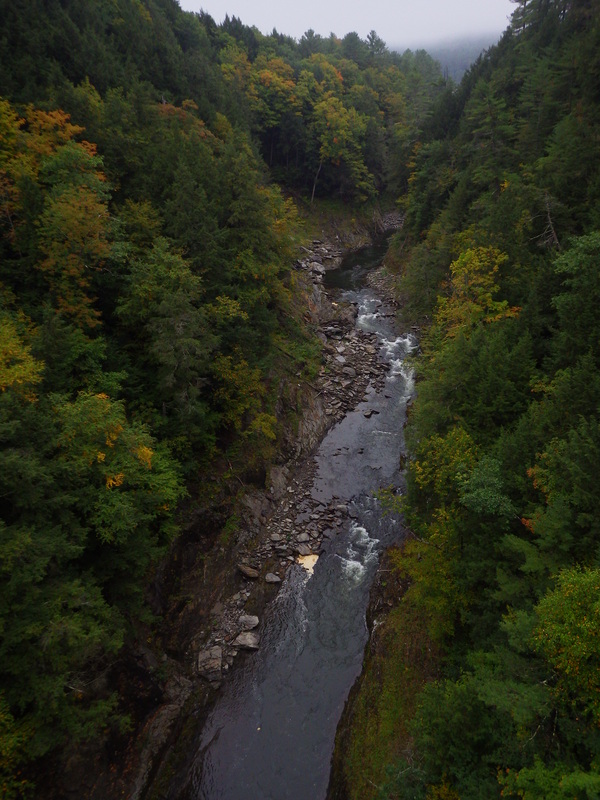 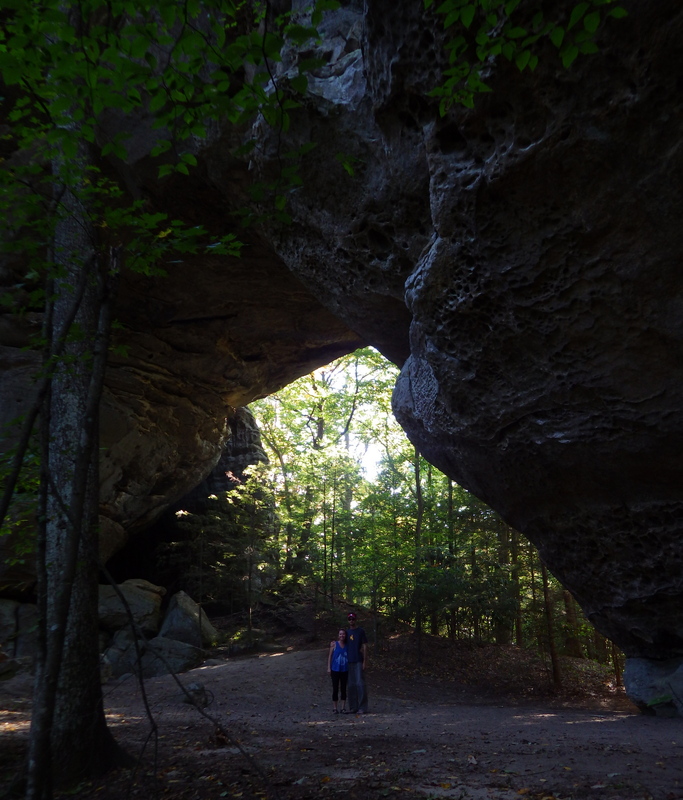 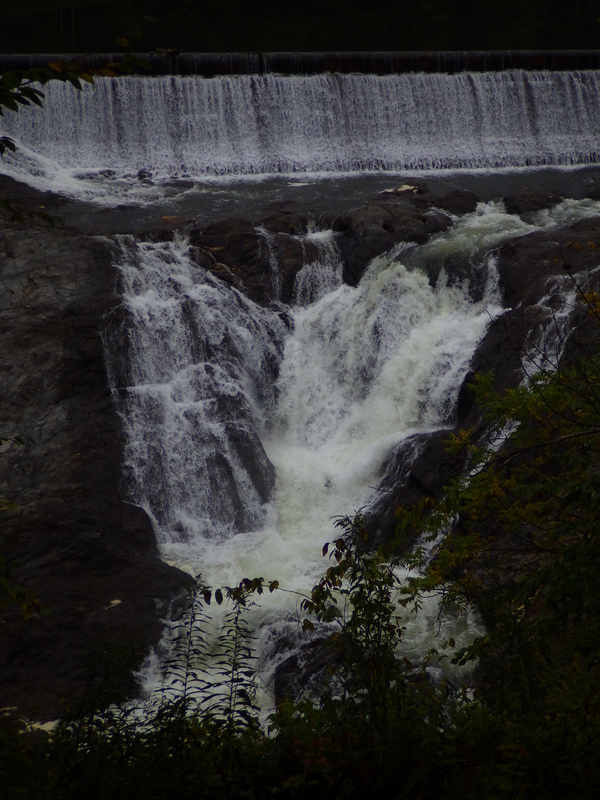 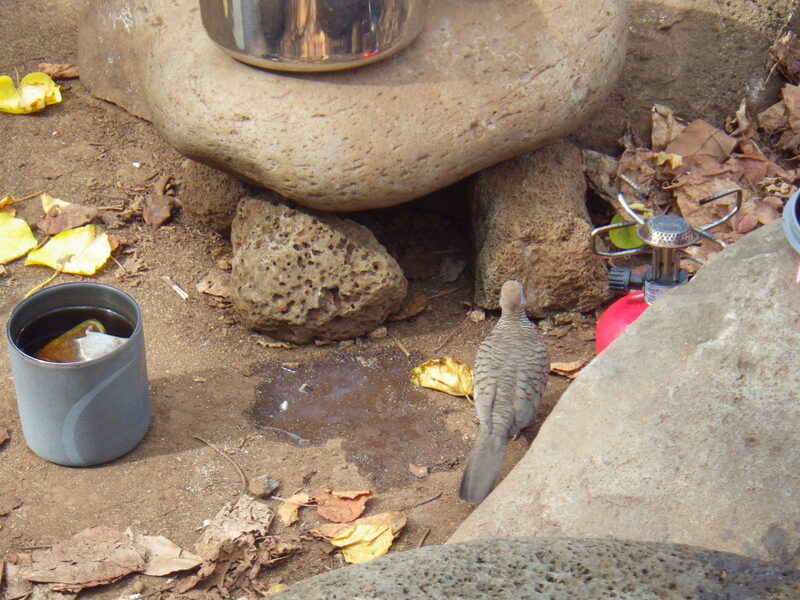 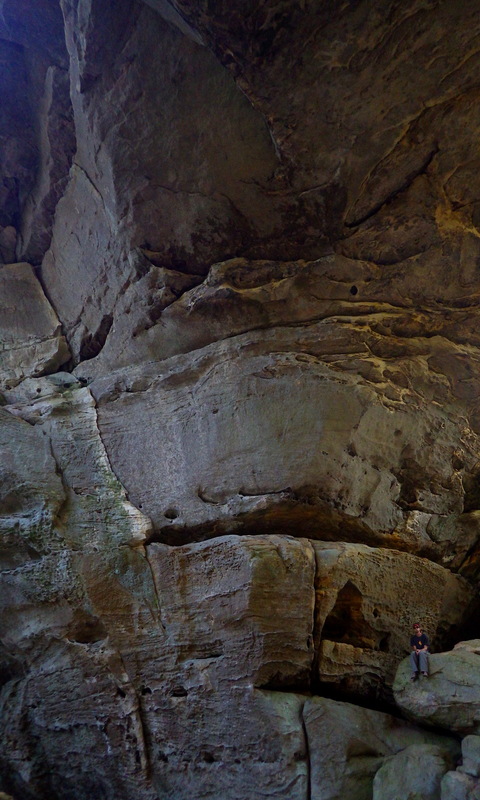 See Wondon’s blog for more ideas of places to visit beyond Blue Hen Falls. 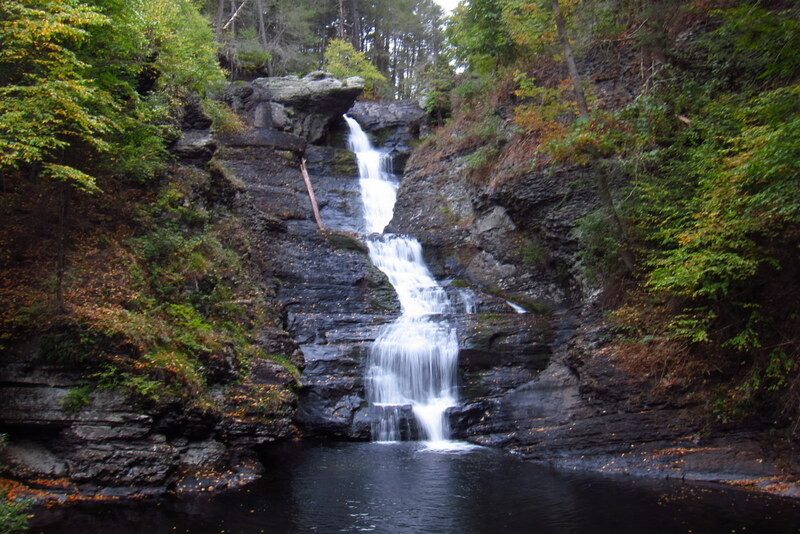 Description: We enjoyed hiking to two waterfalls that feed into the Delaware River that forms the border of Pennsylvania and New Jersey. 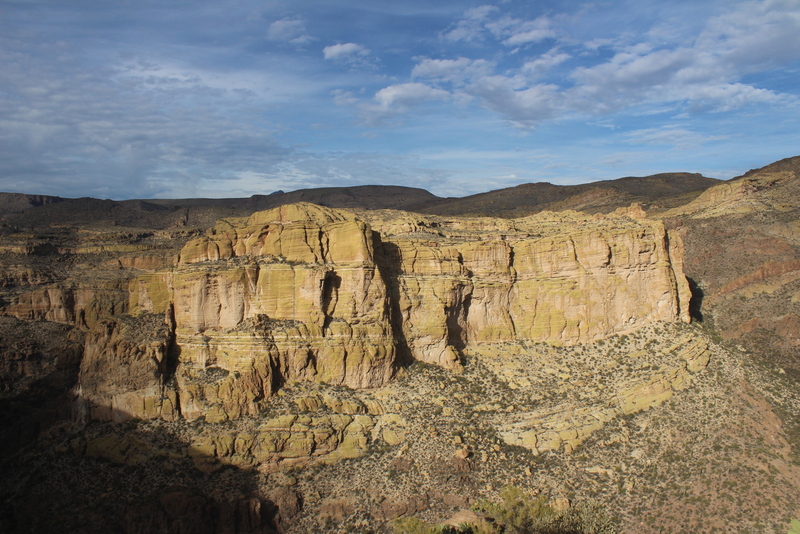 Description: Just outside the town where you find Marsh-Billings-Rockefeller National Historical Park is this interesting canyon worth getting out of your car to take a look on the way to Saint-Gaudens National Historic Site.